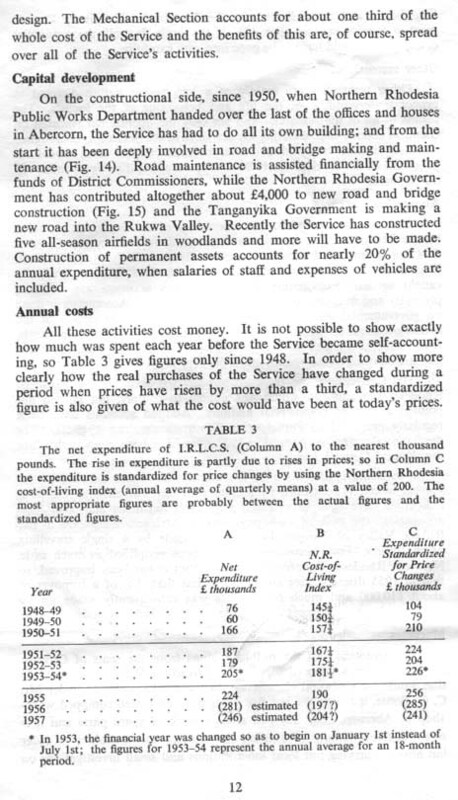 These items have been contributed by David Boote. 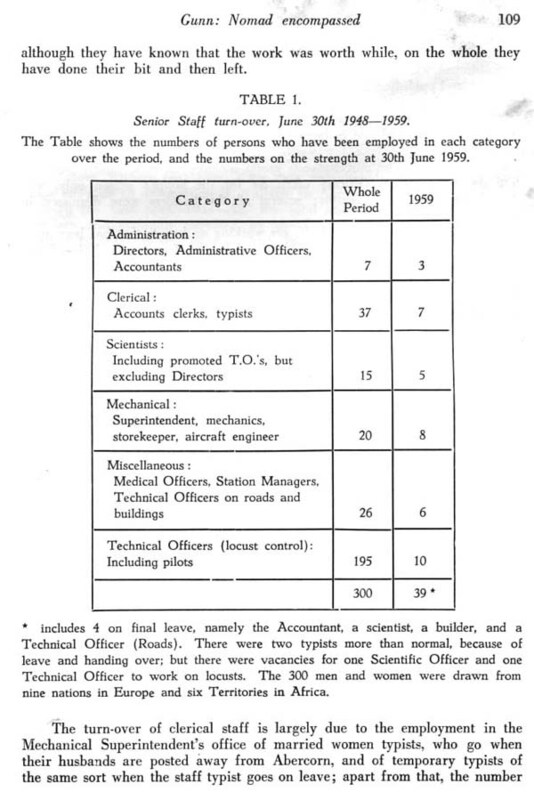 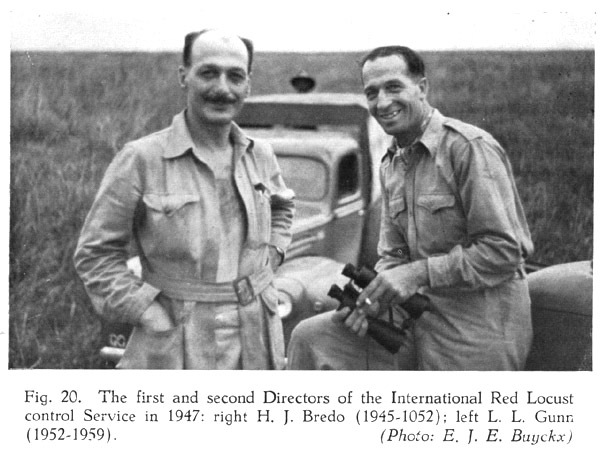 David's father worked for the IRLCS from 1948 and, from 1954 was Mechanical Superintendent. 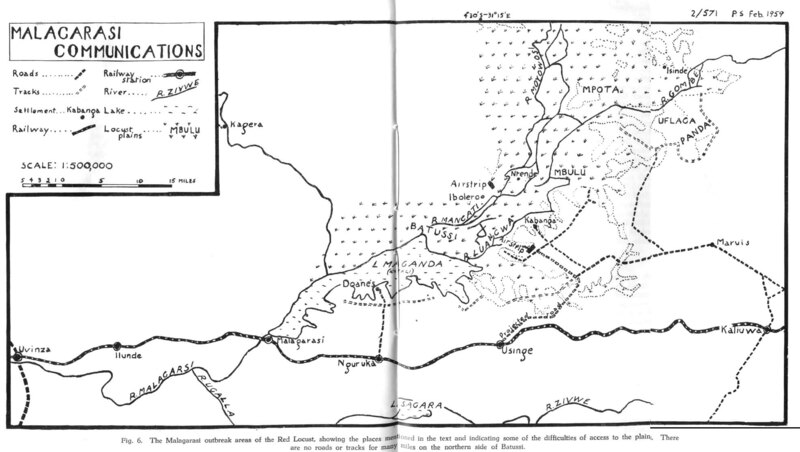 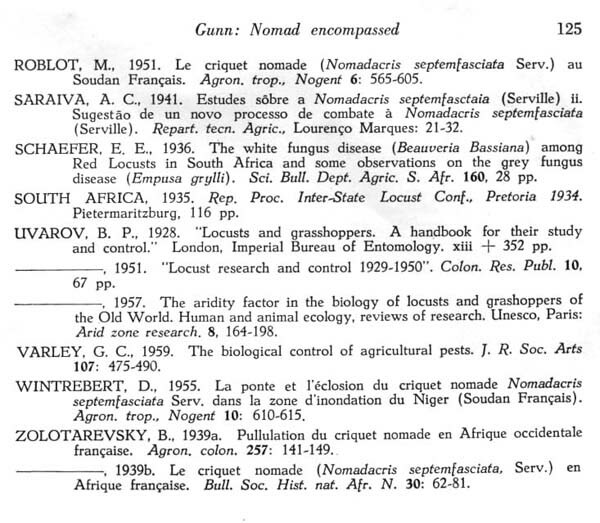 There is more about his work on pages 107-8 of 'Nomad Encompassed'. 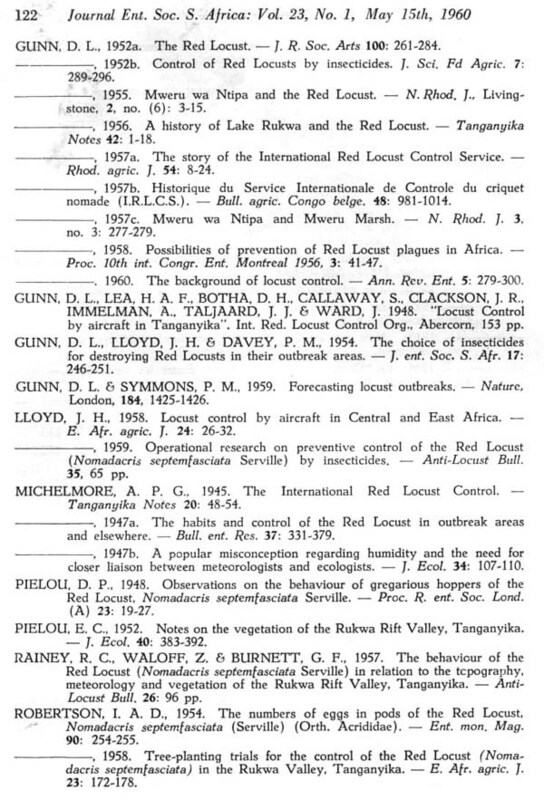 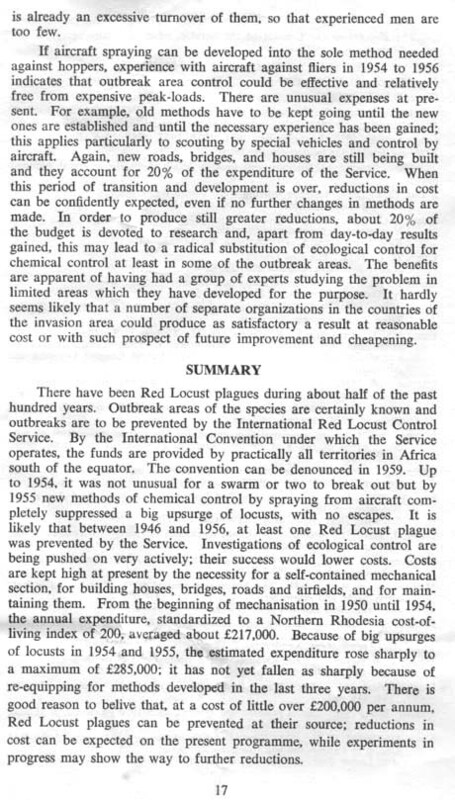 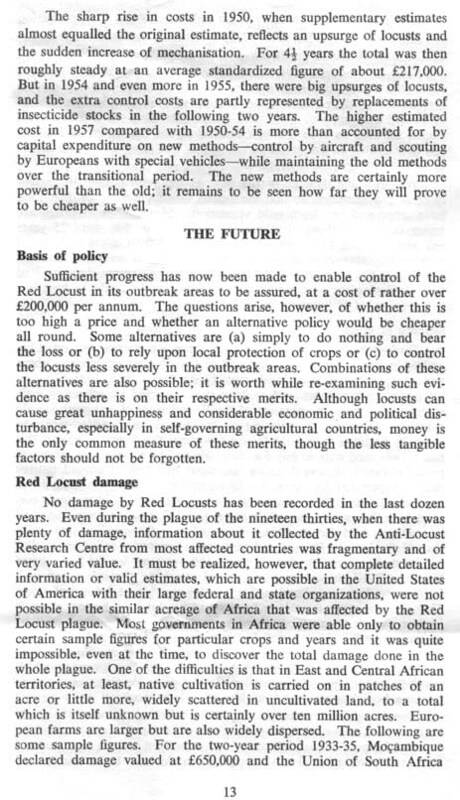 Red Locust control is today undertaken by the 'International Red Locust Control Organisation'. 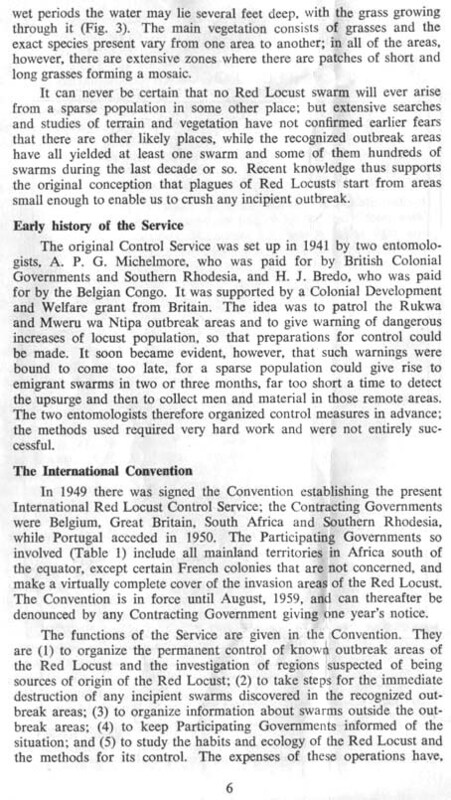 Click here to see a short article. 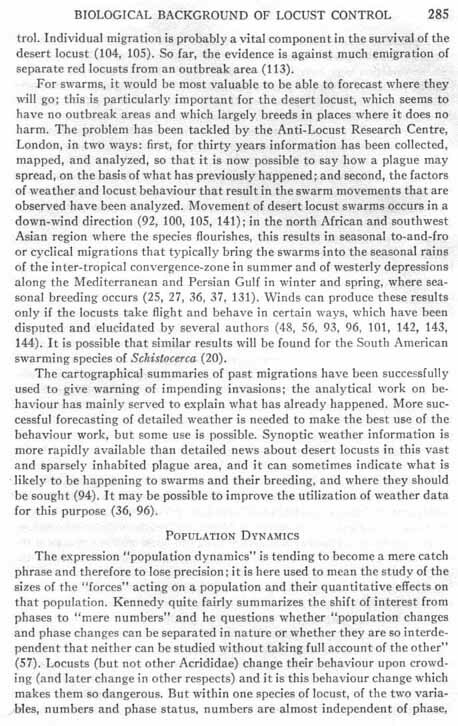 It will open in a new window - close it when done. 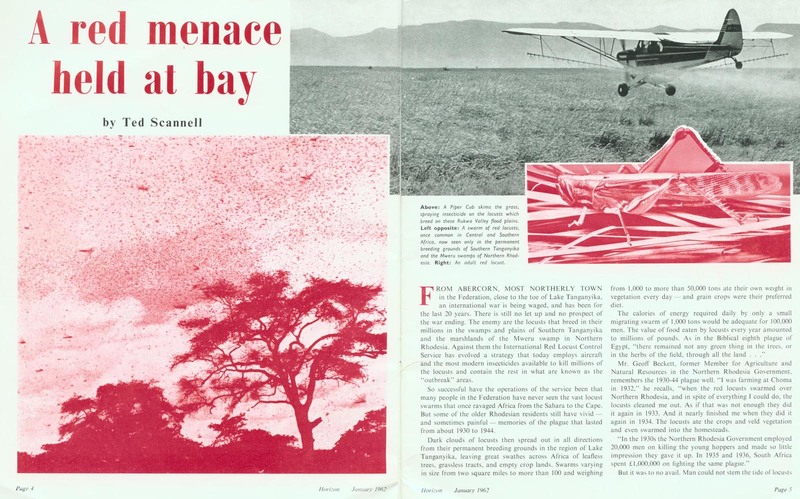 Horizon article - 'A red menace held at Bay'. 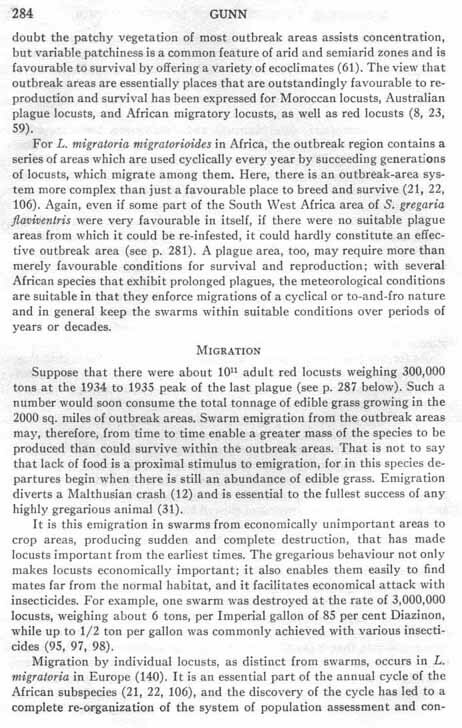 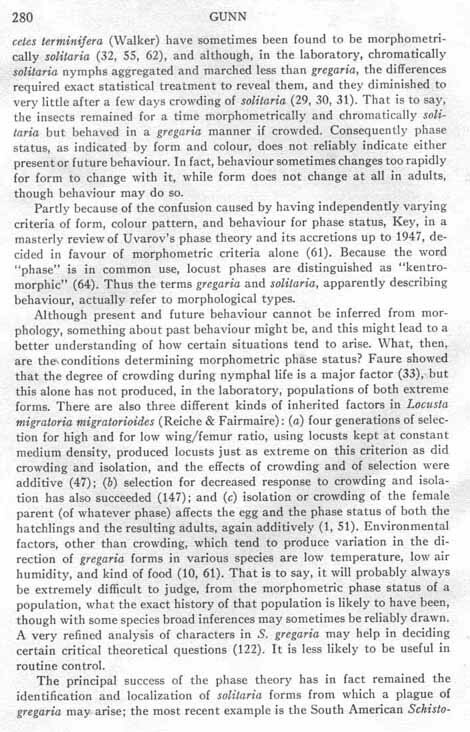 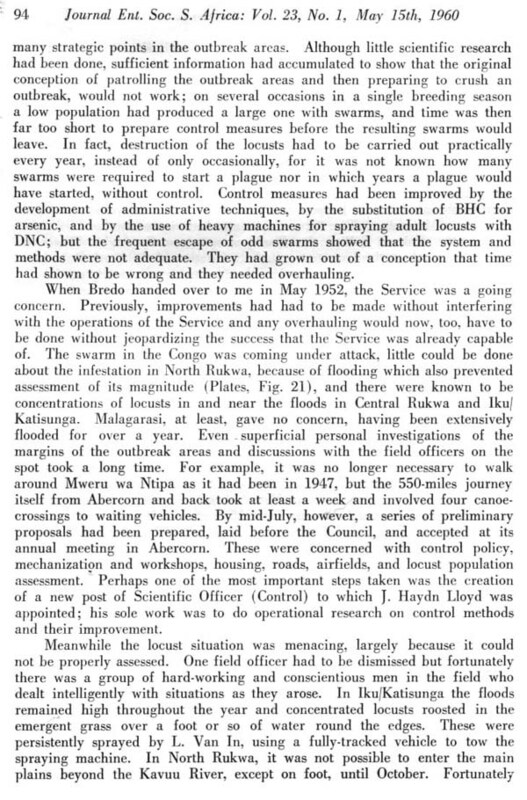 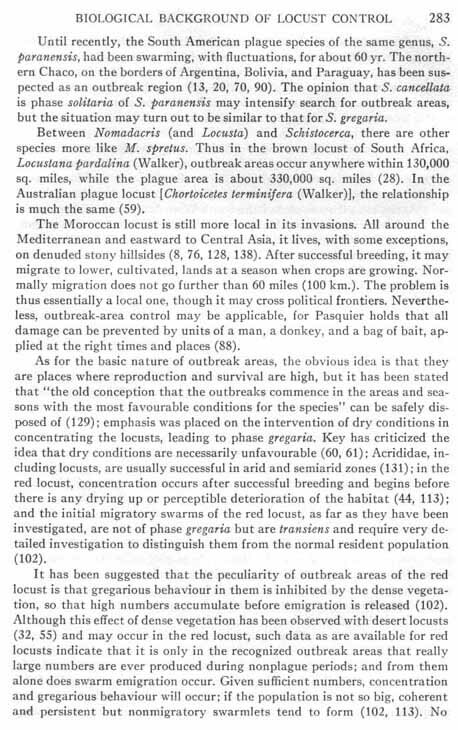 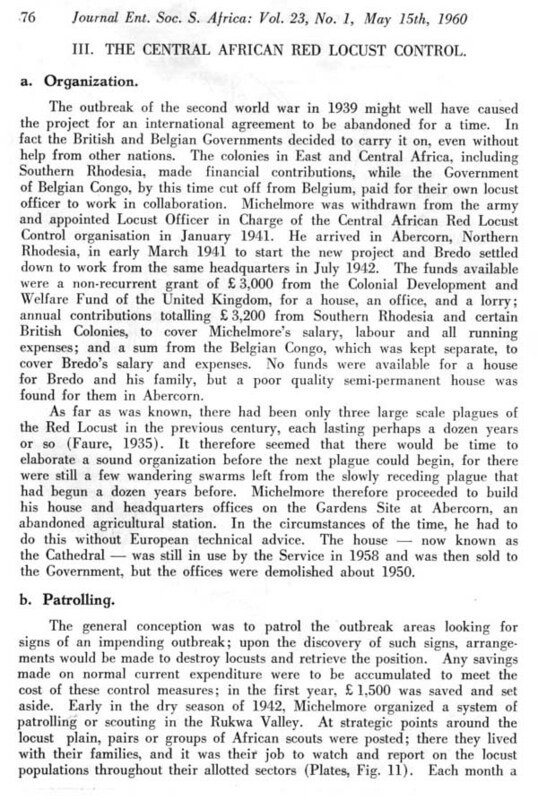 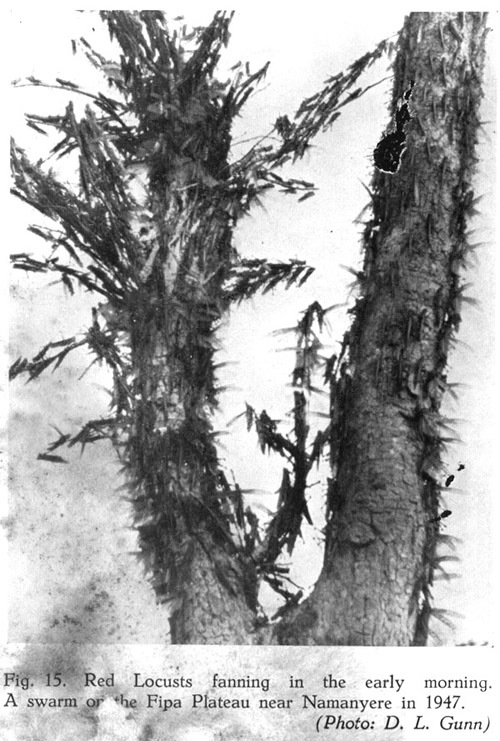 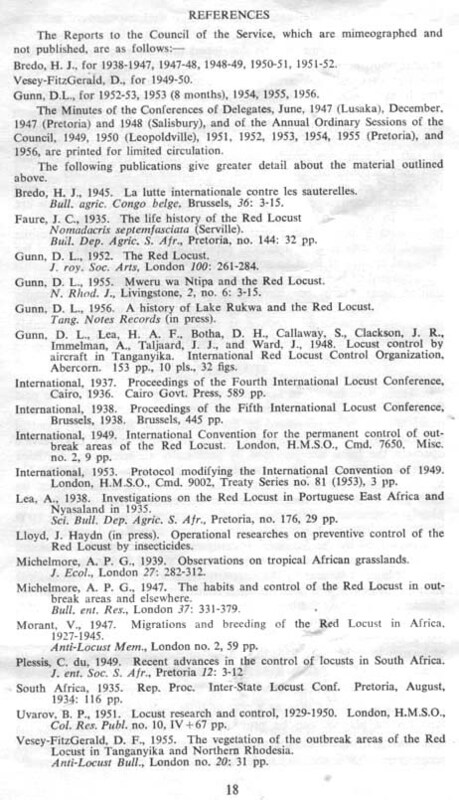 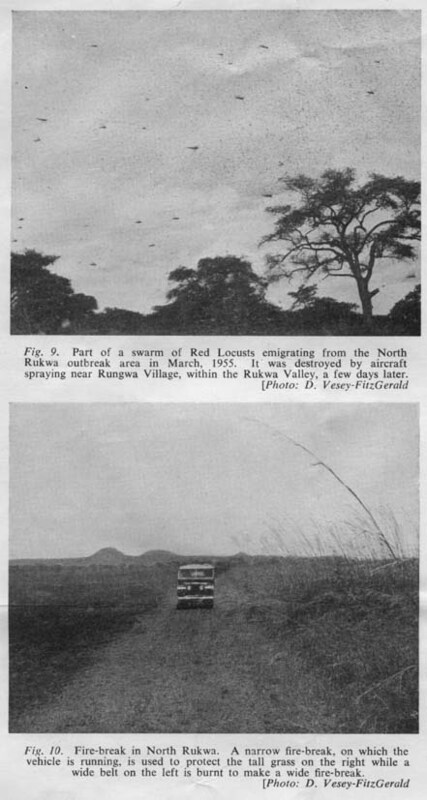 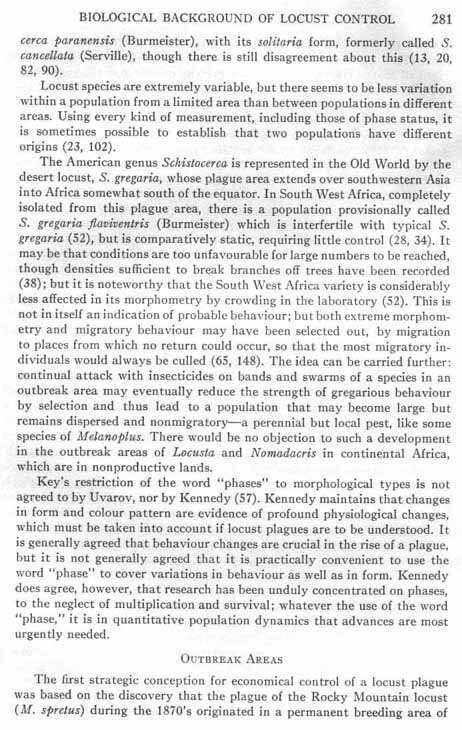 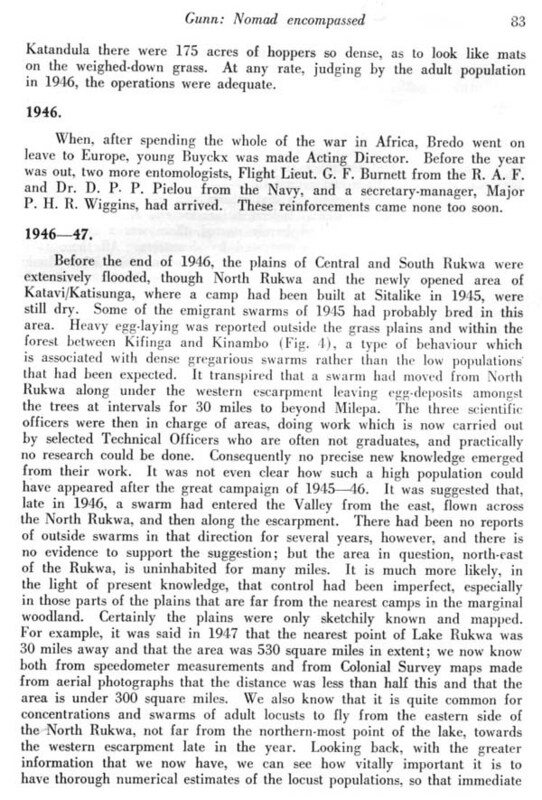 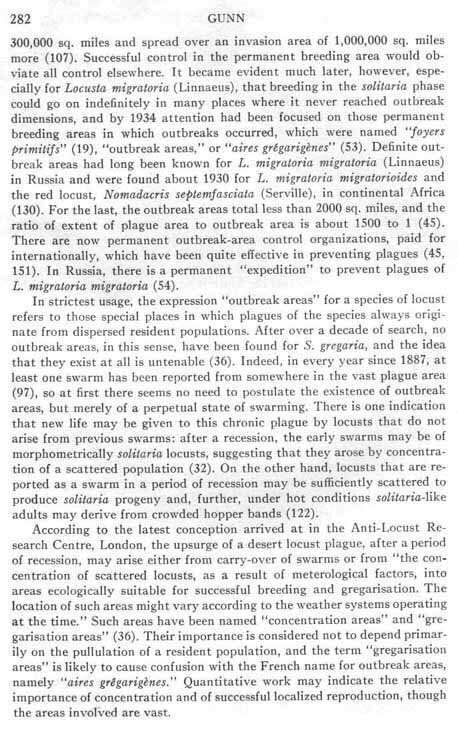 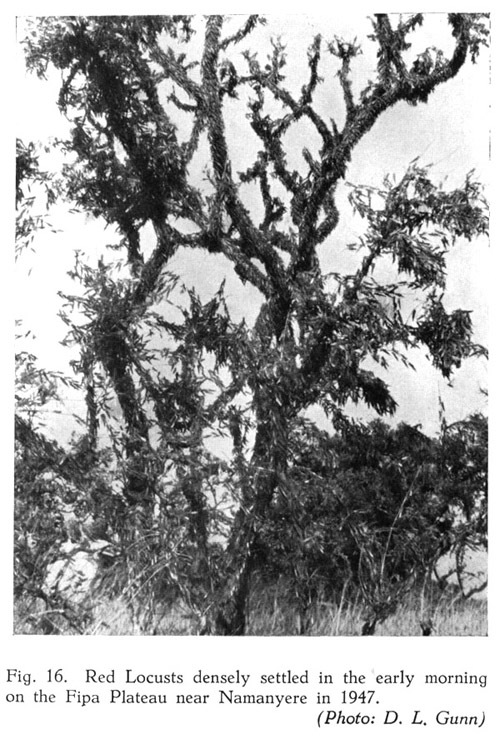 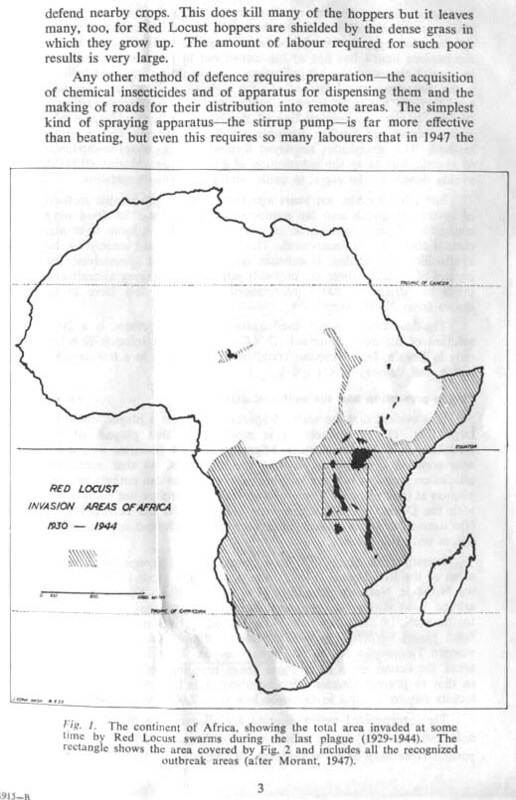 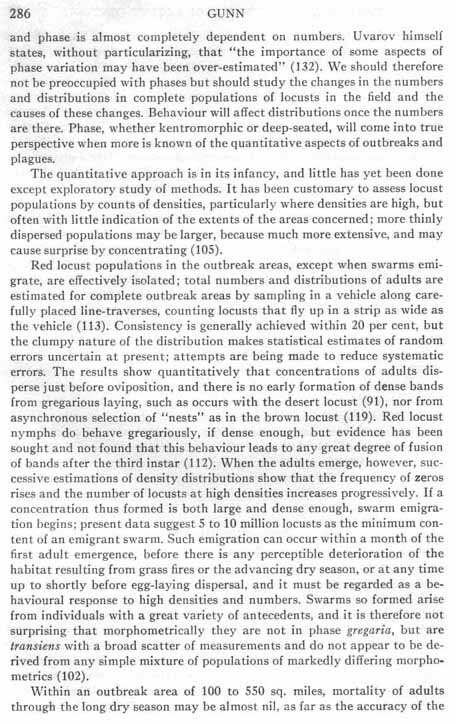 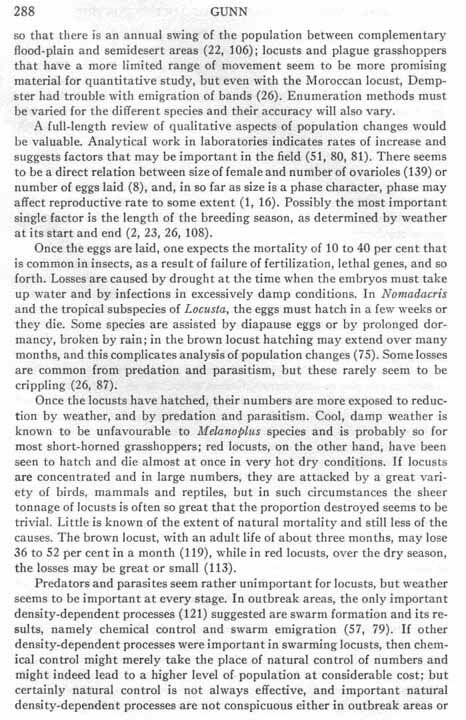 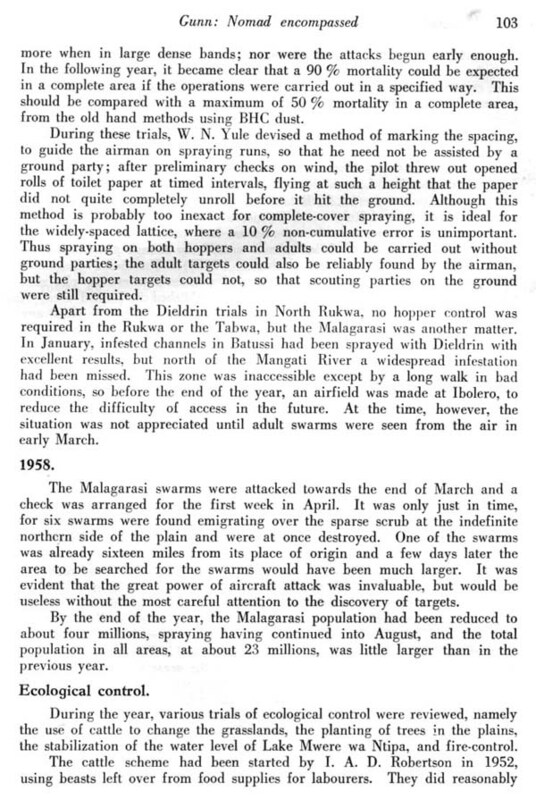 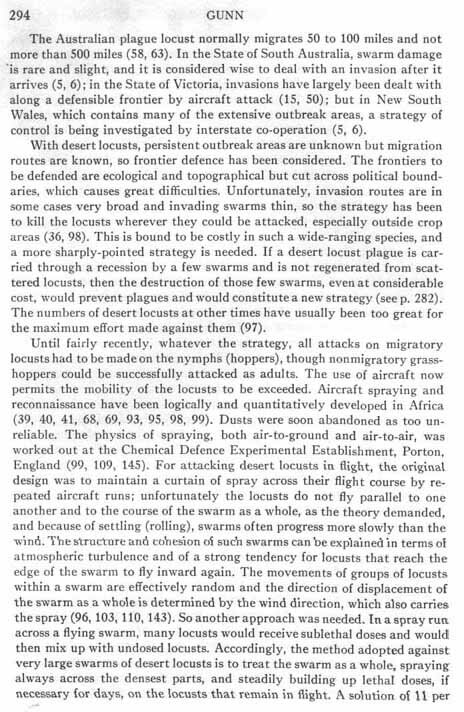 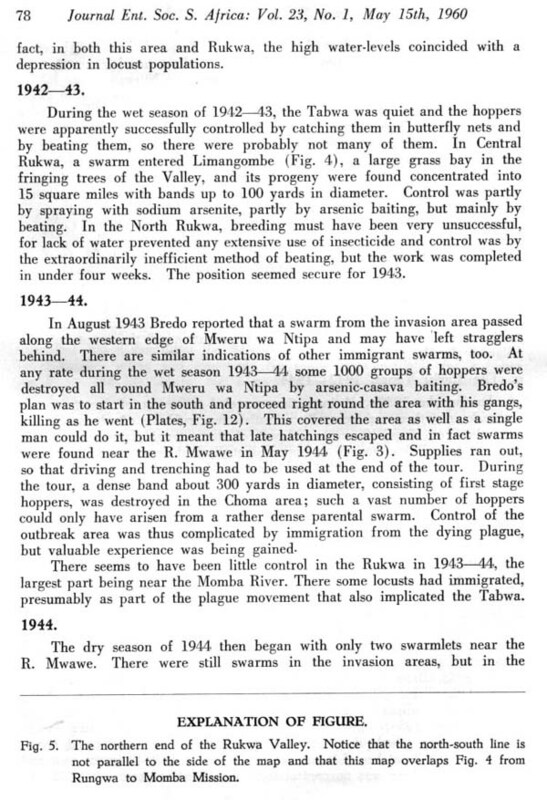 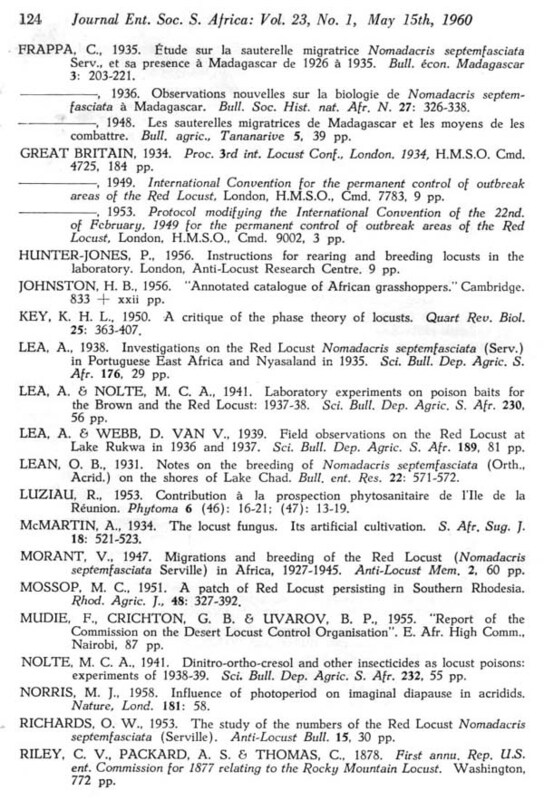 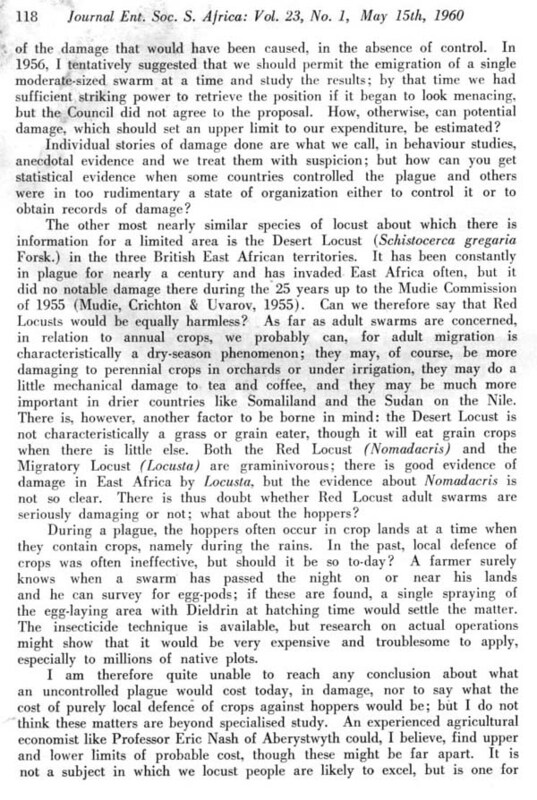 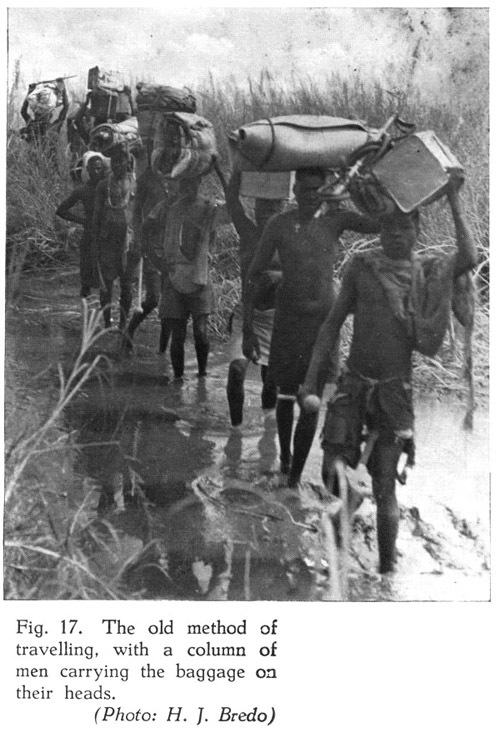 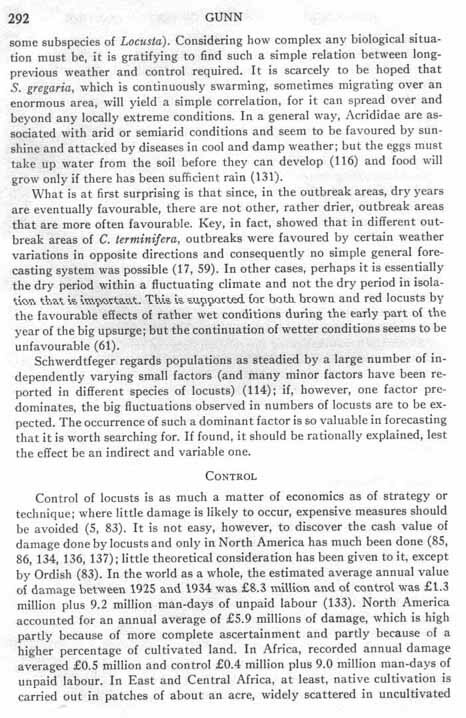 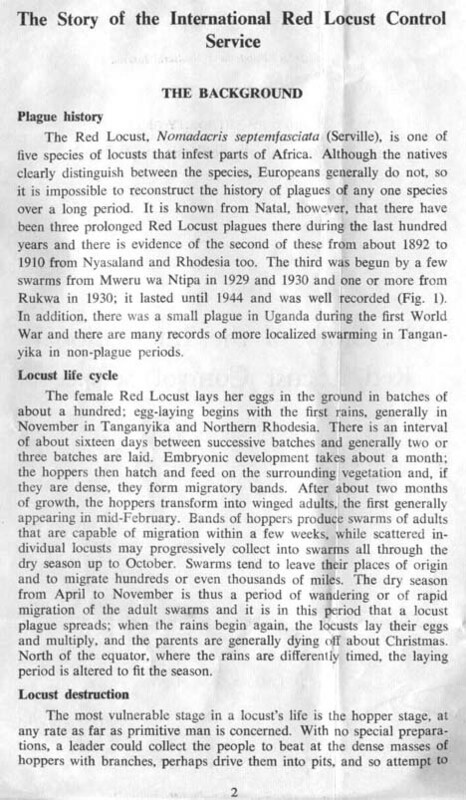 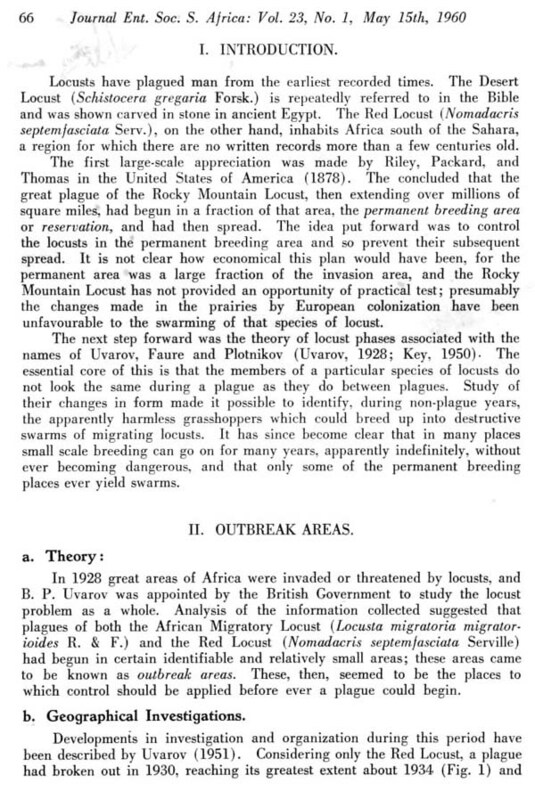 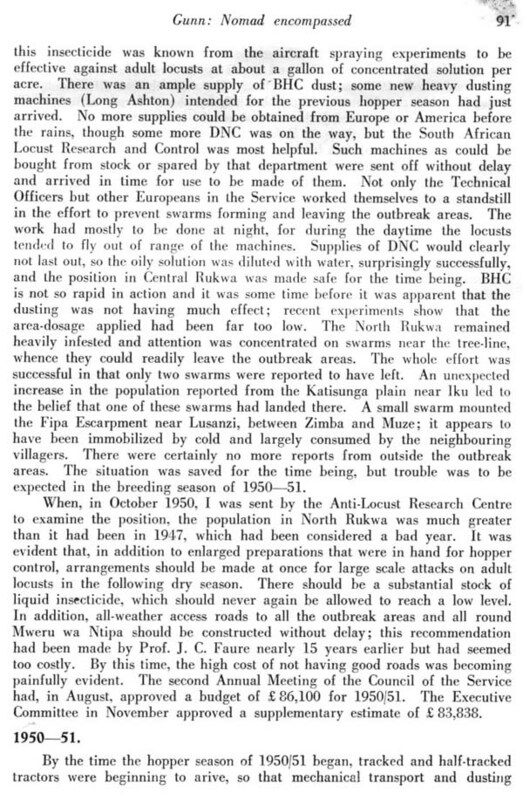 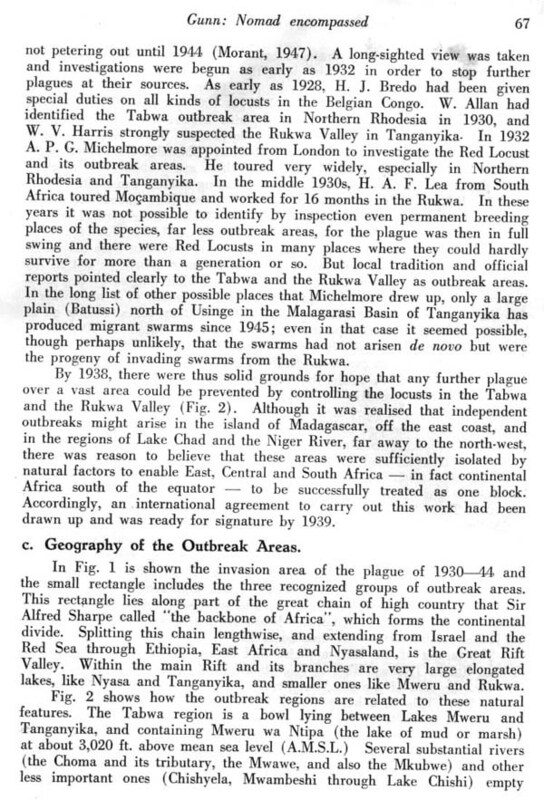 'Nomad Encompassed' by D.L.Gunn published in the Journal of the Entomological Society of Southern Africa: Volume 23 No. 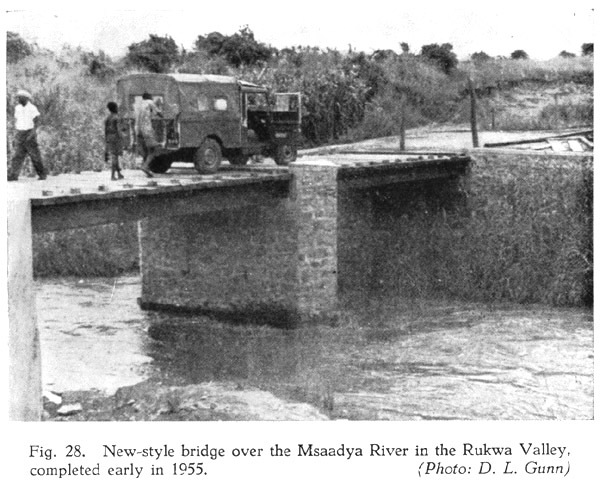 1 May 15th 1960. 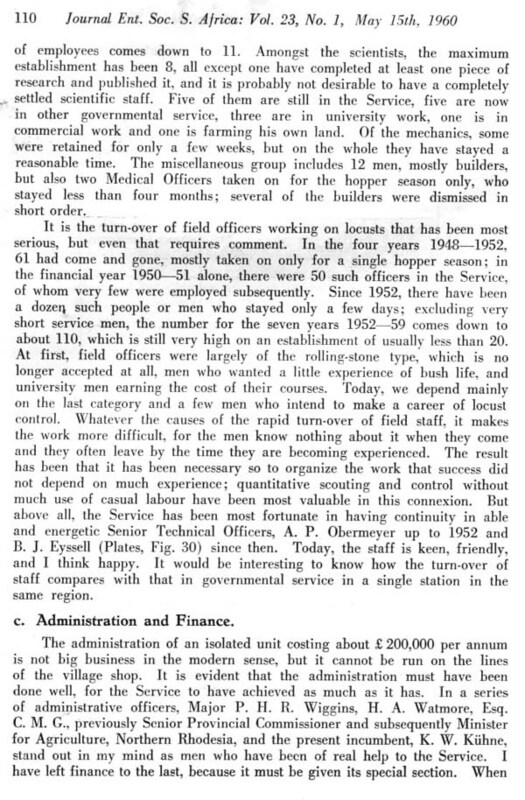 This is a full but very readable history of the Service from its beginnings during WWII until 1959. 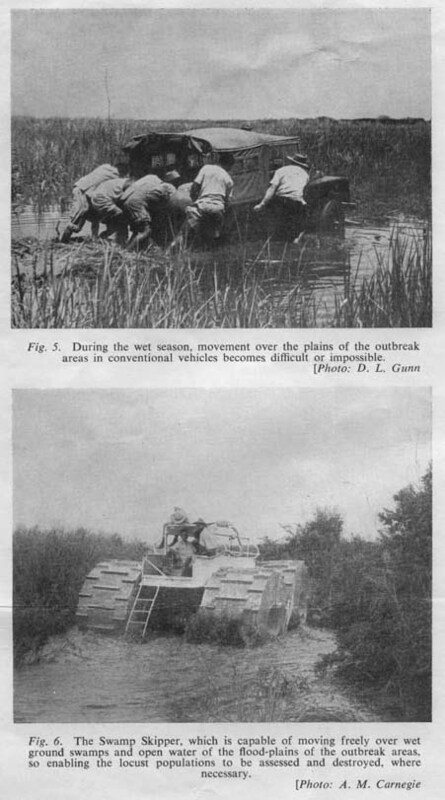 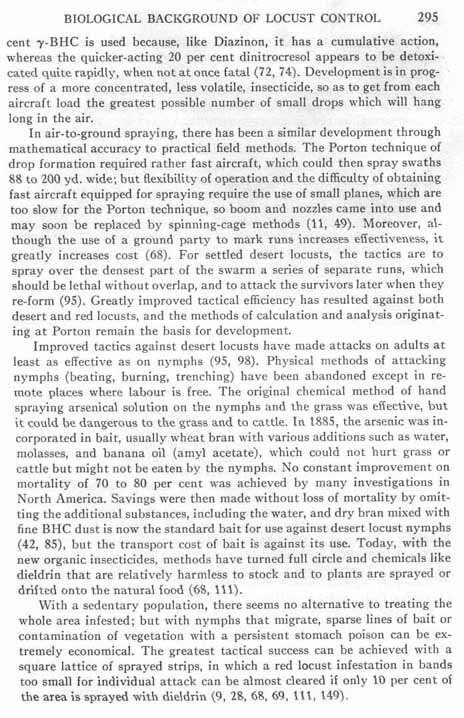 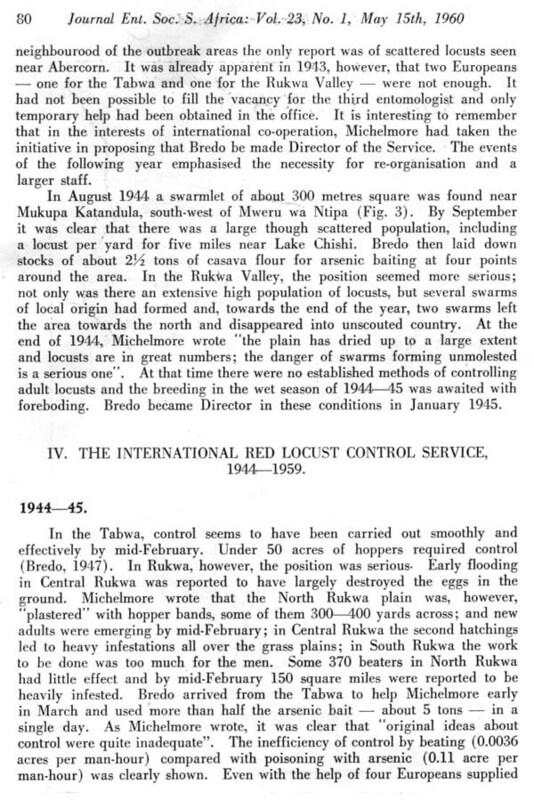 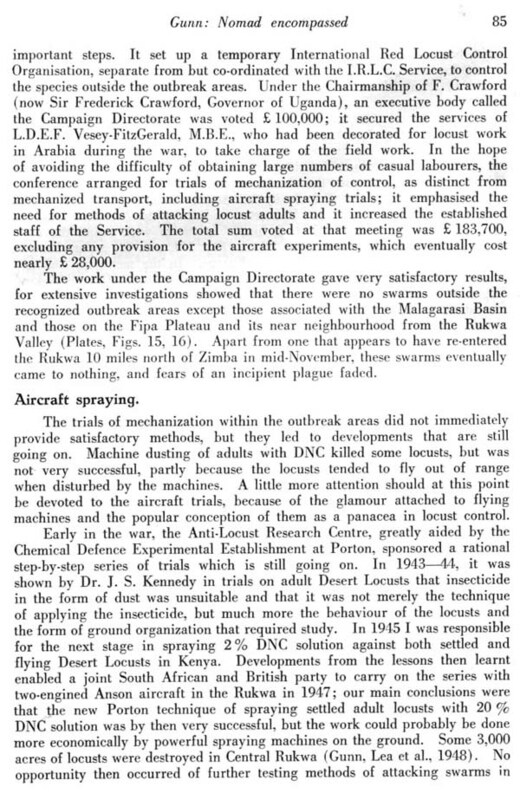 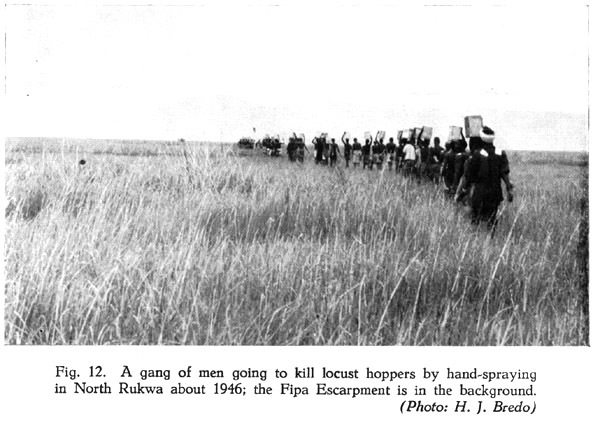 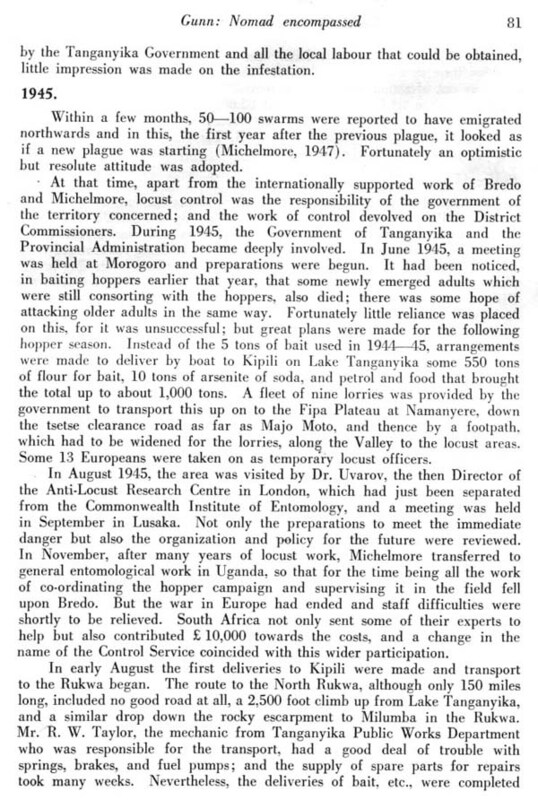 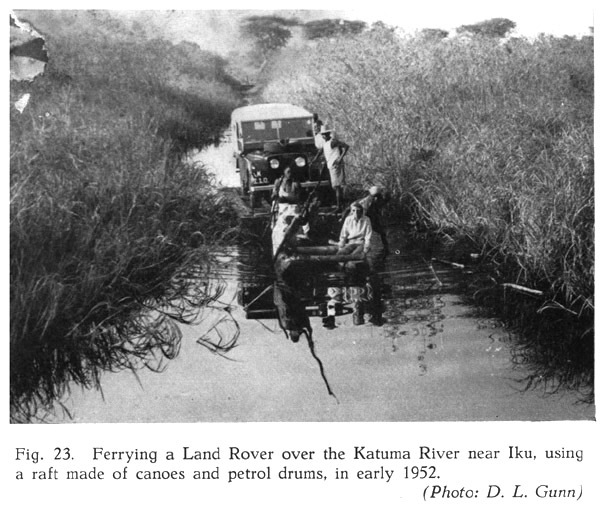 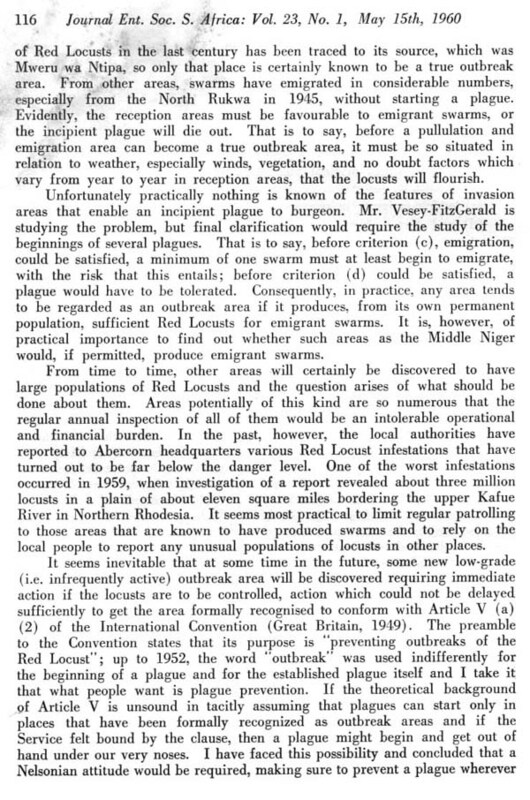 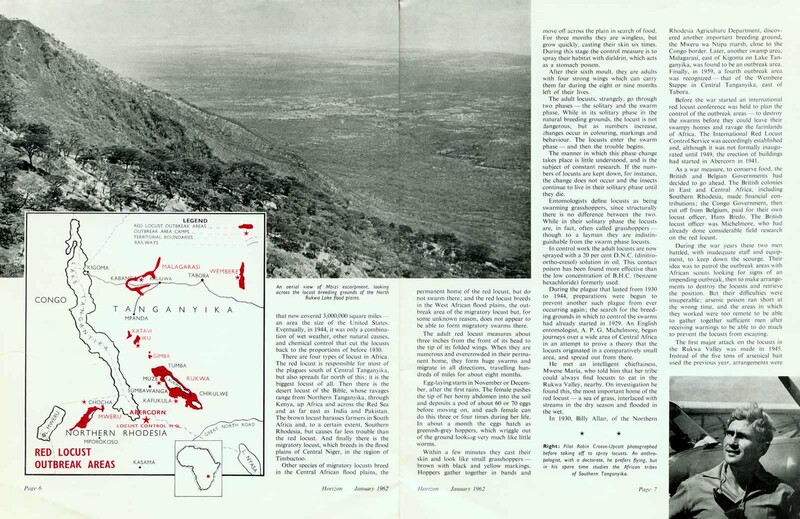 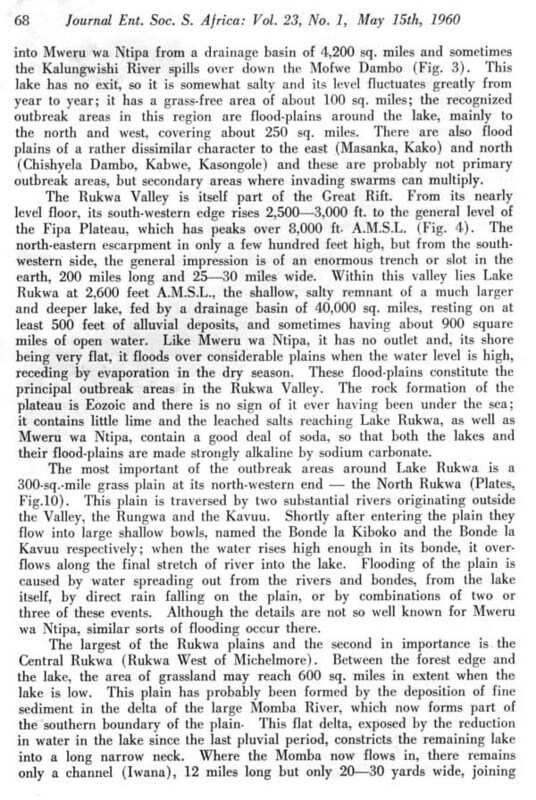 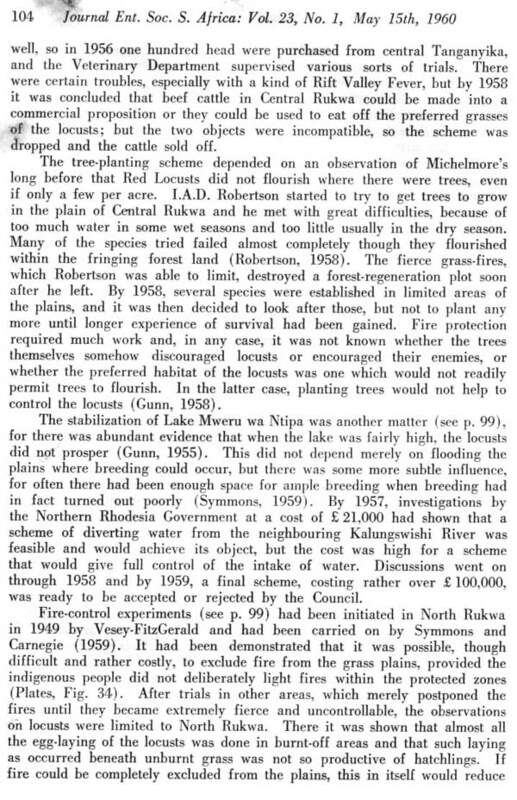 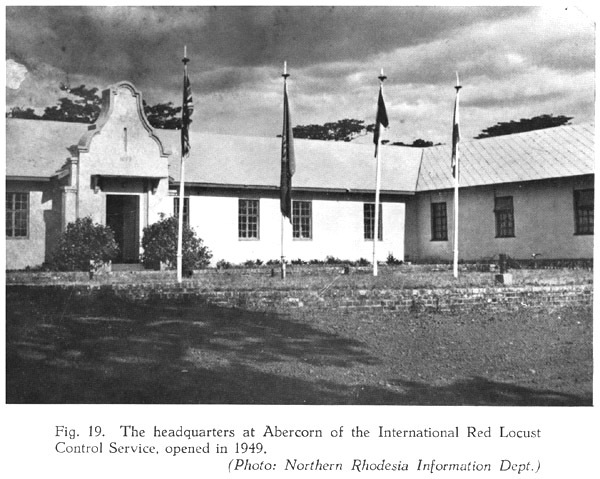 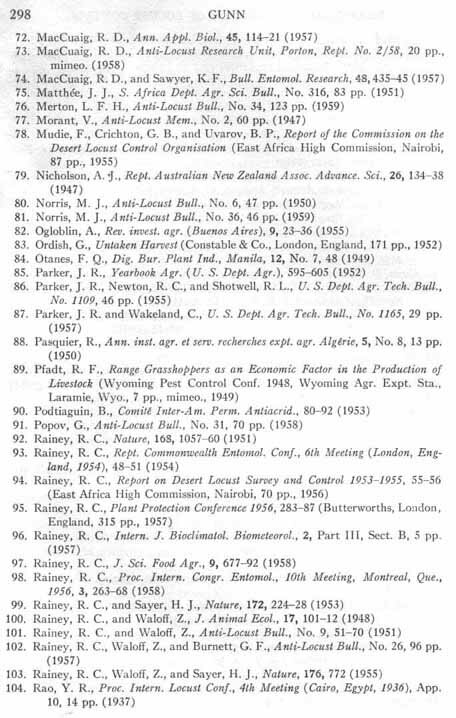 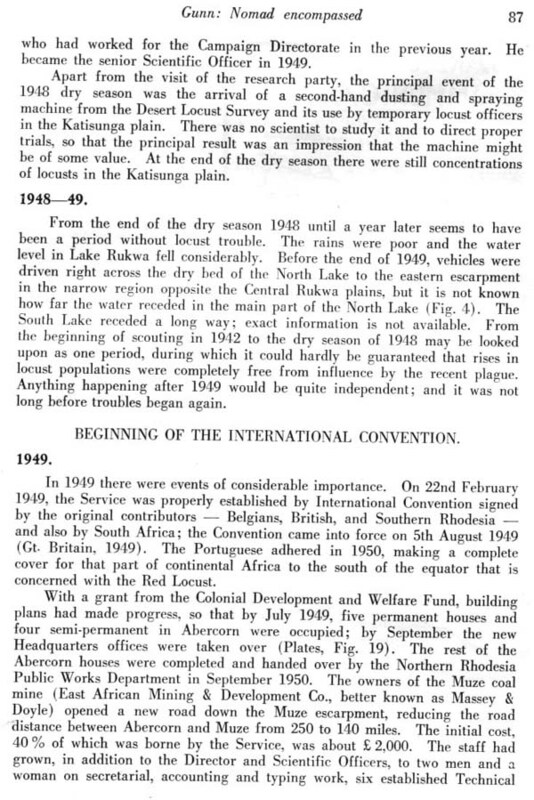 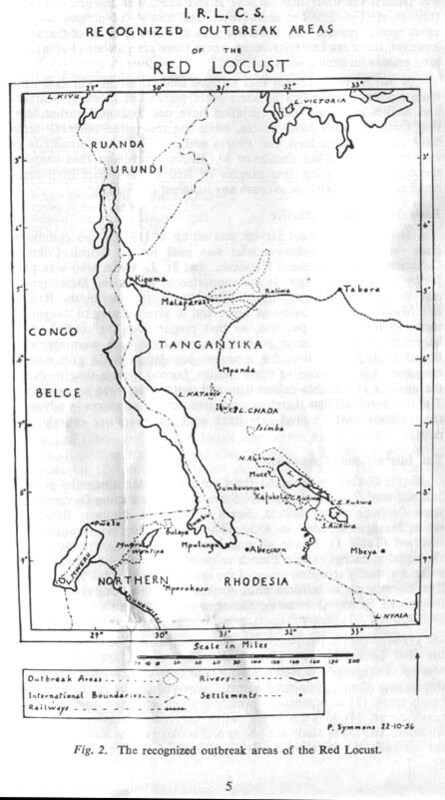 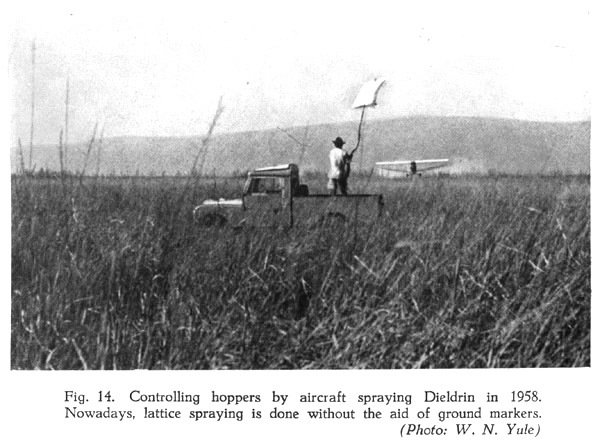 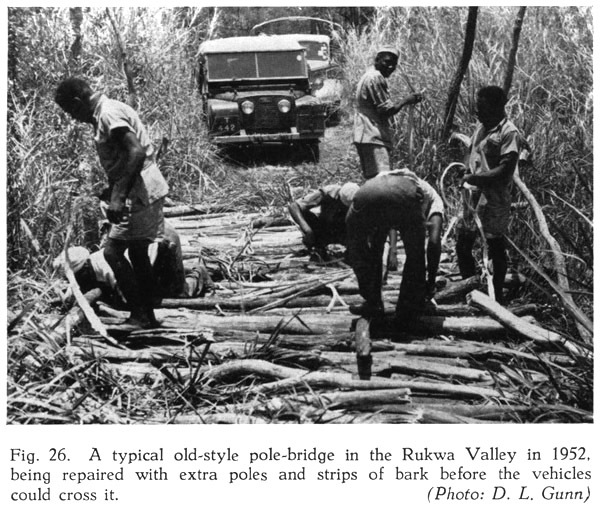 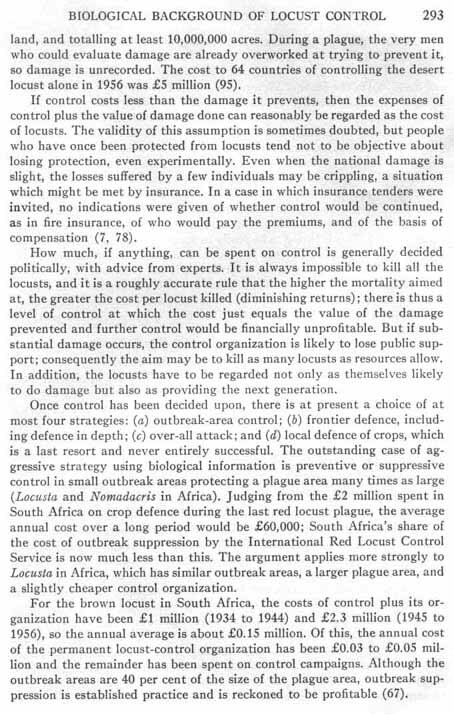 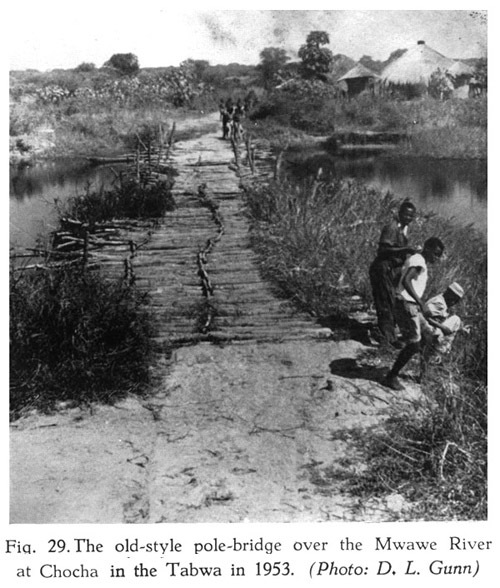 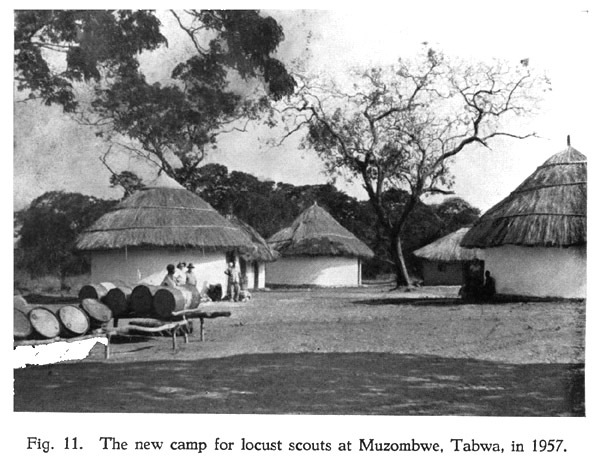 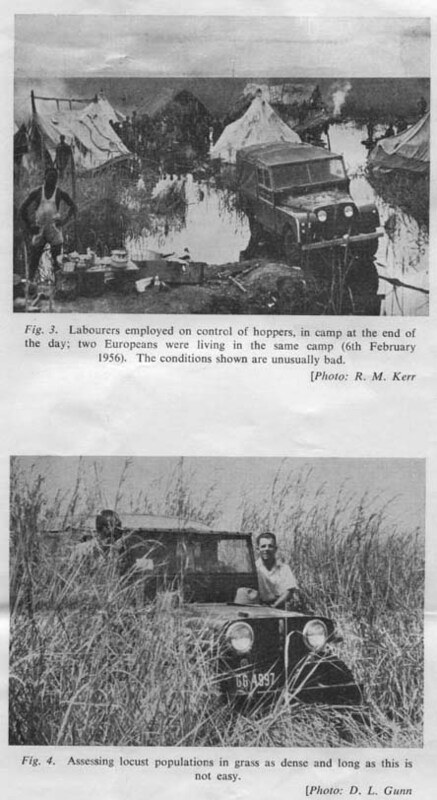 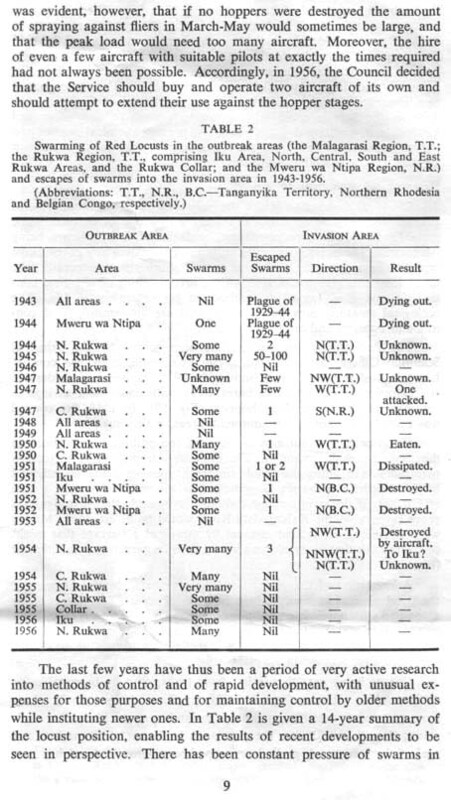 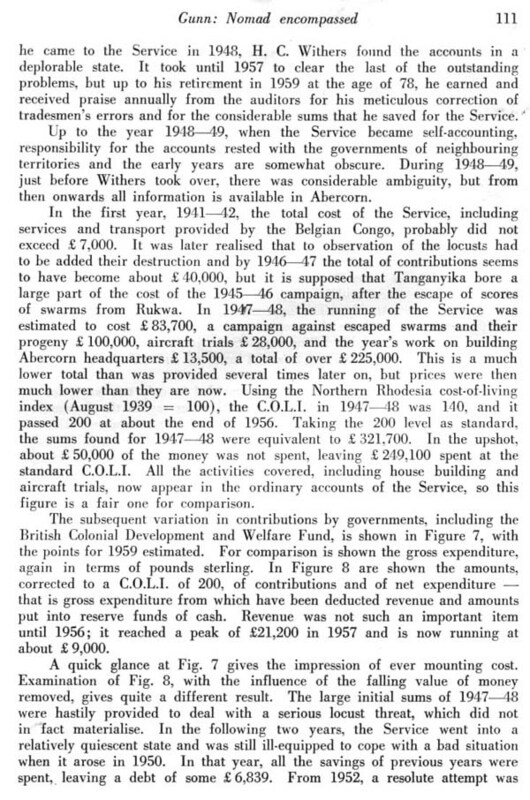 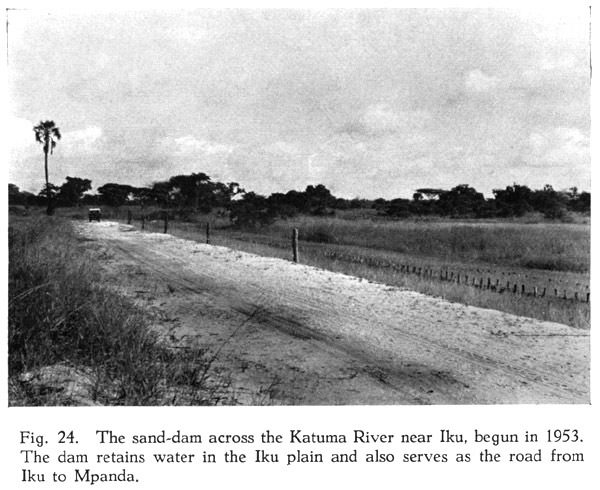 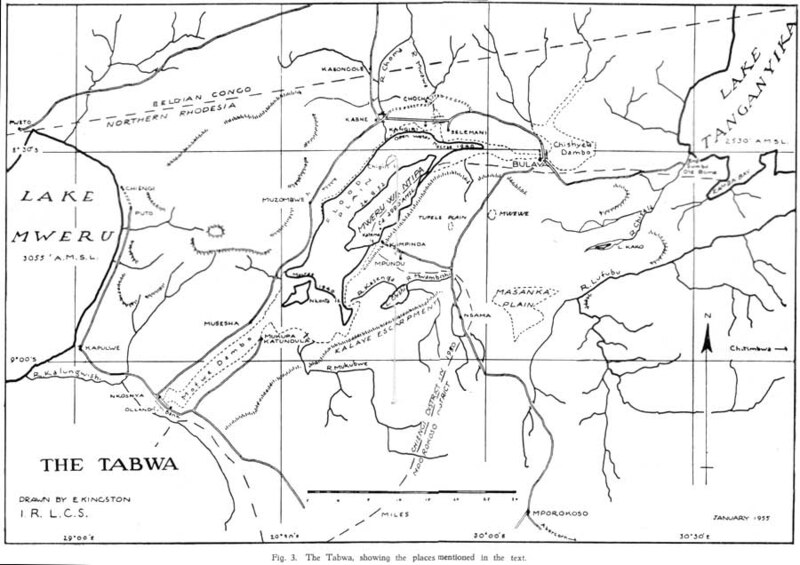 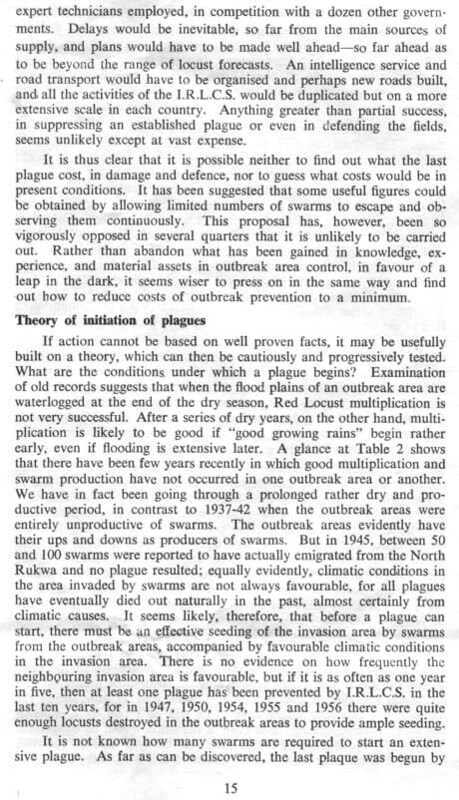 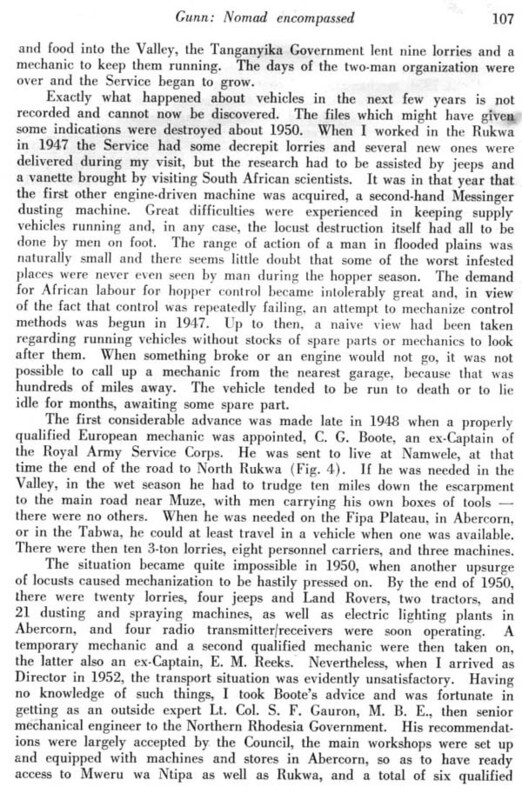 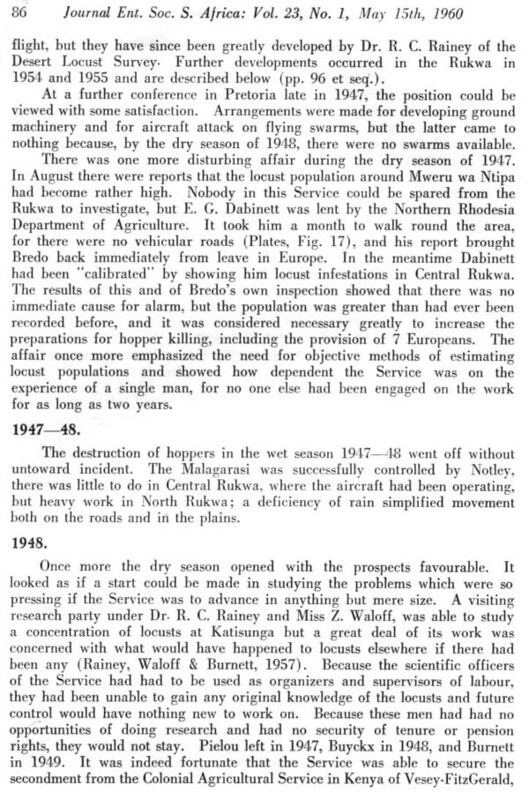 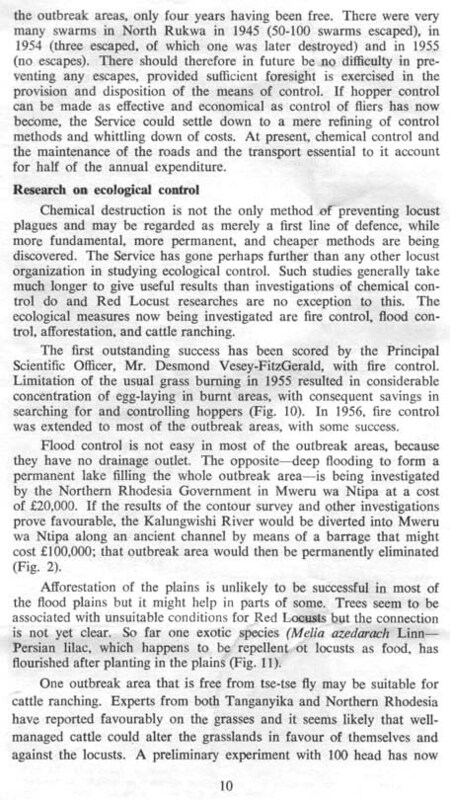 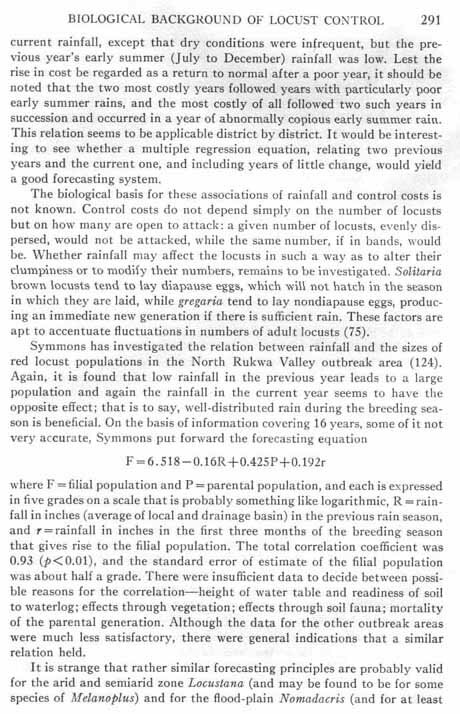 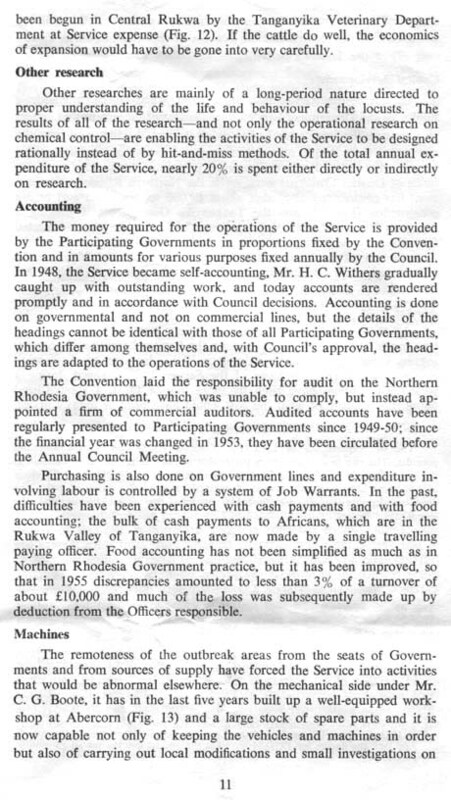 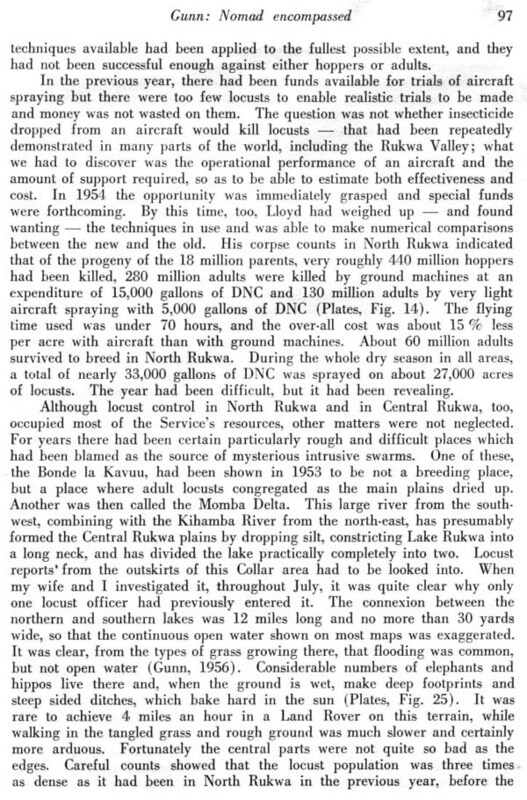 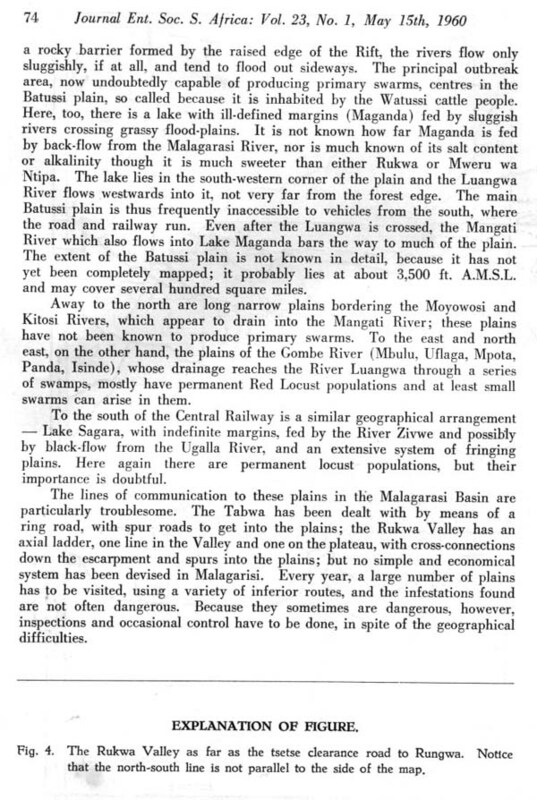 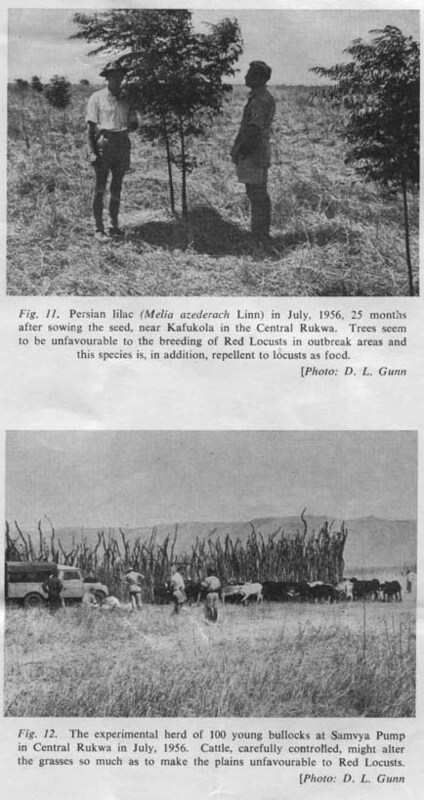 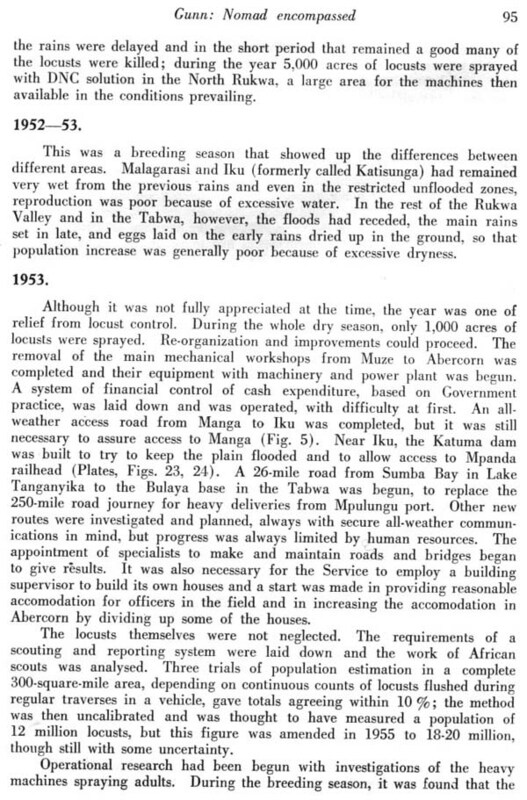 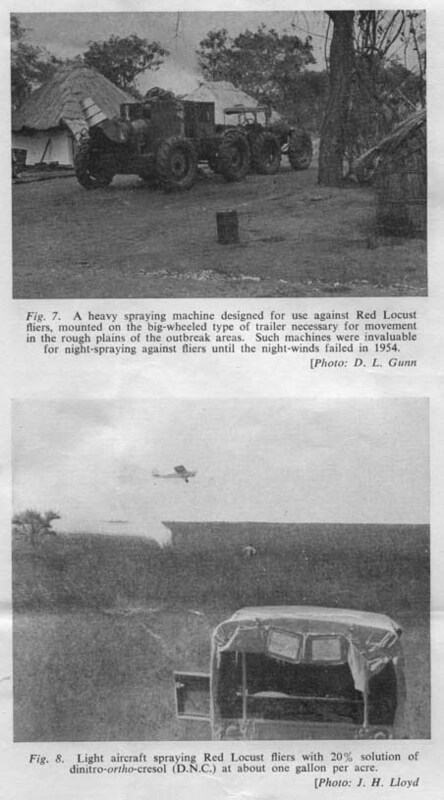 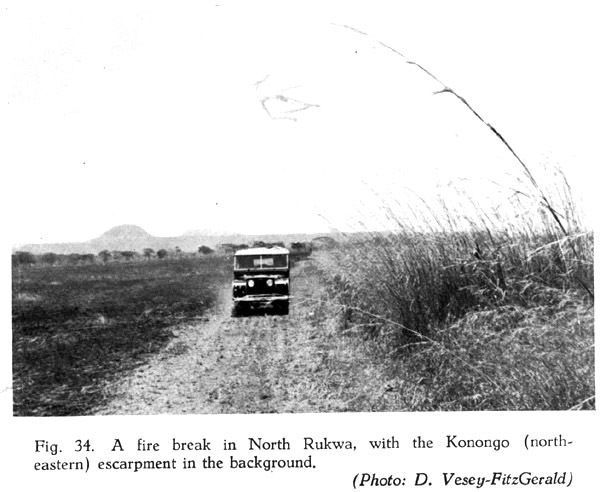 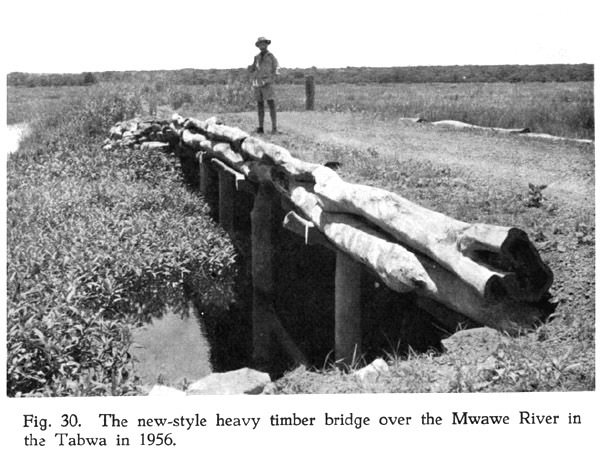 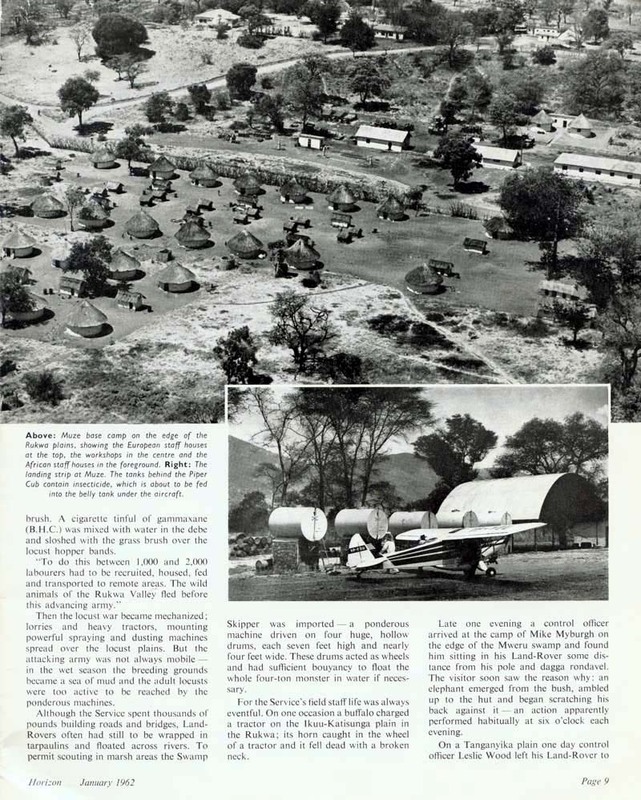 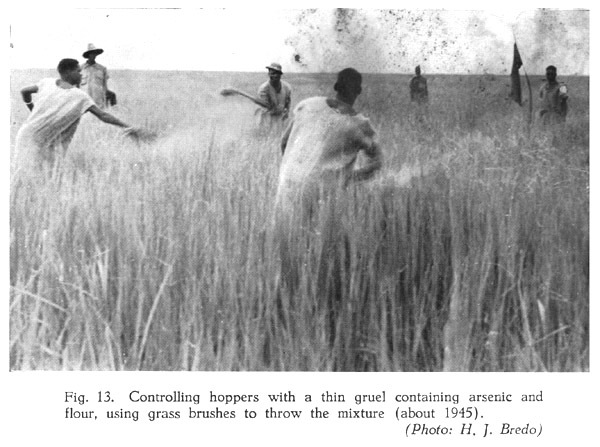 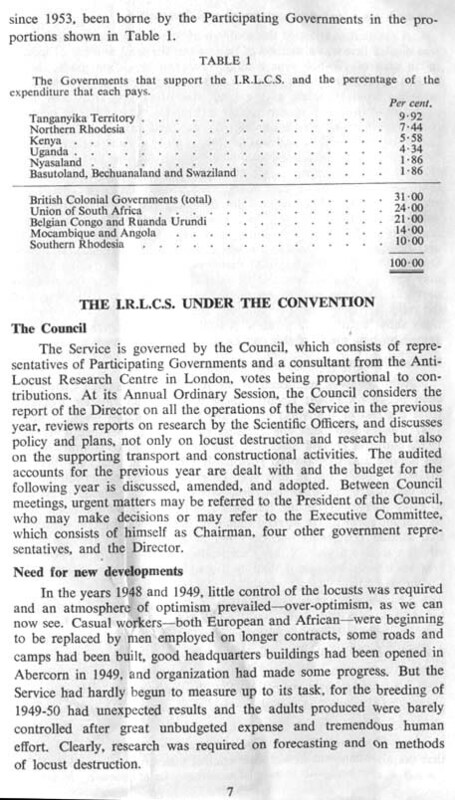 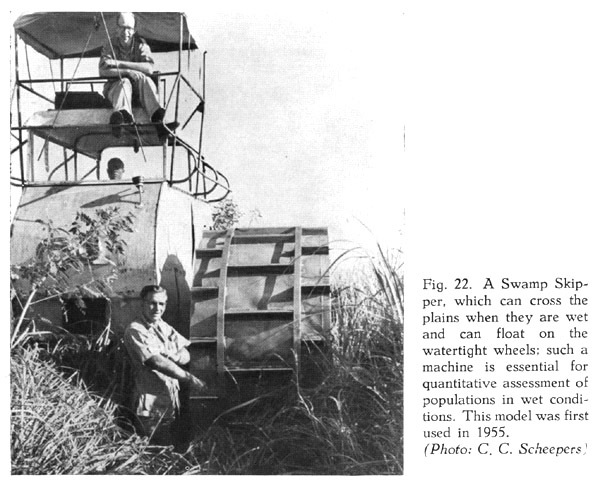 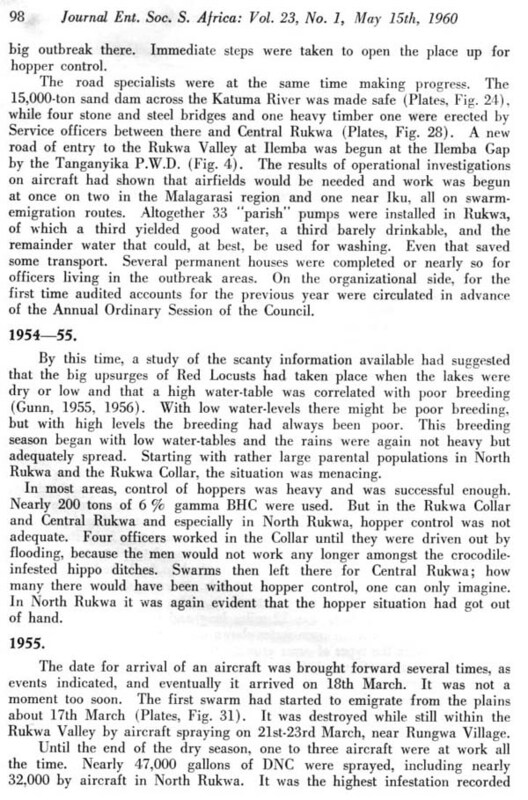 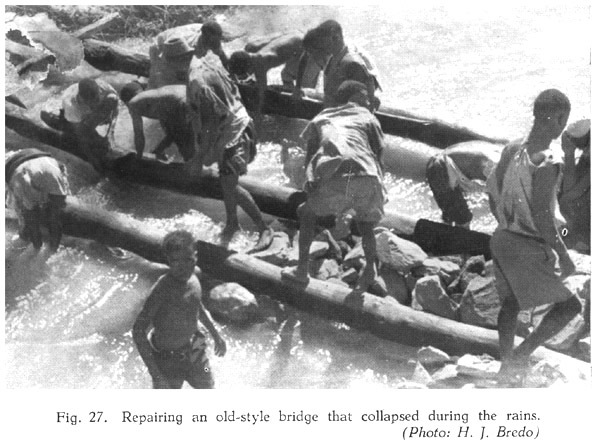 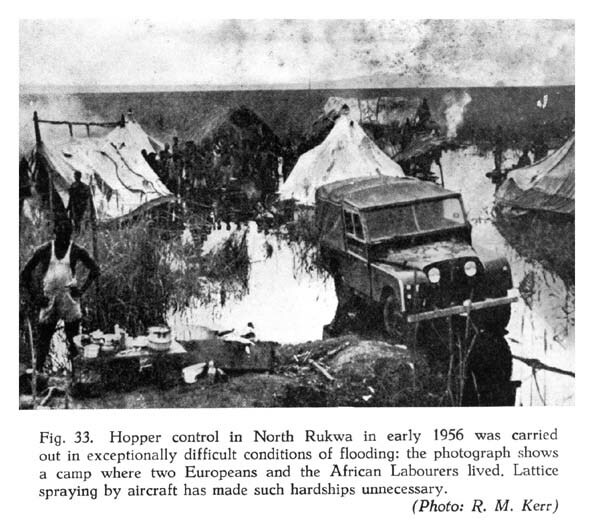 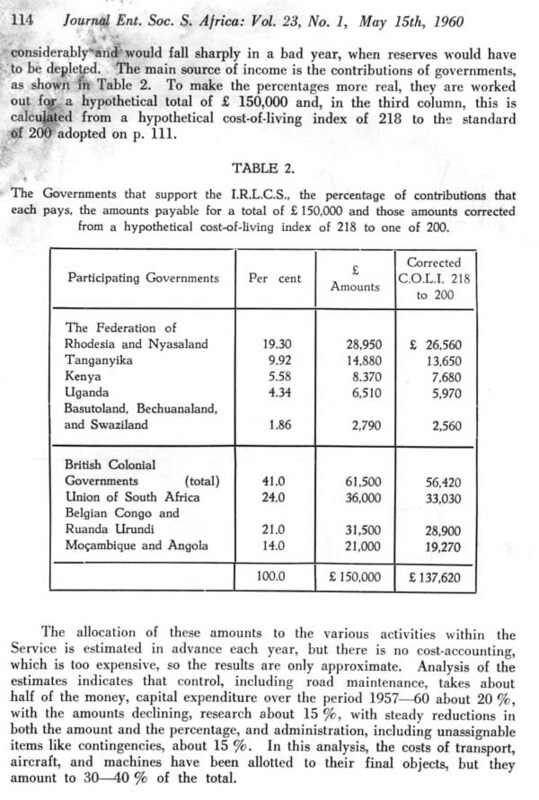 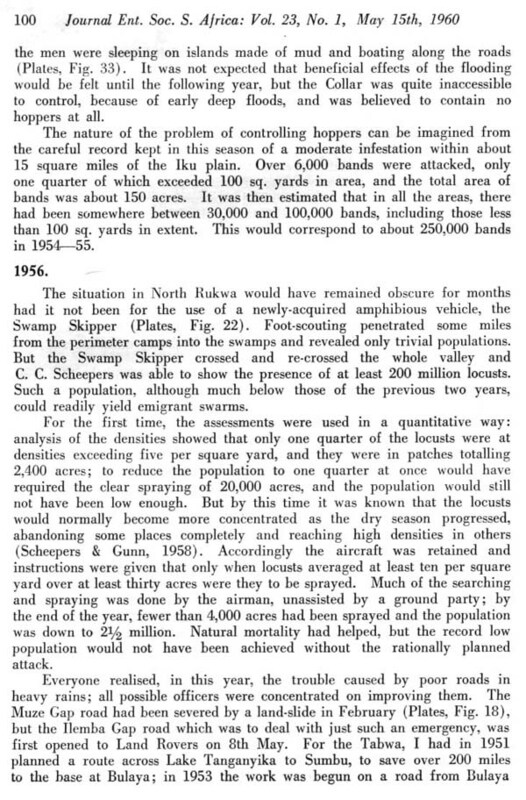 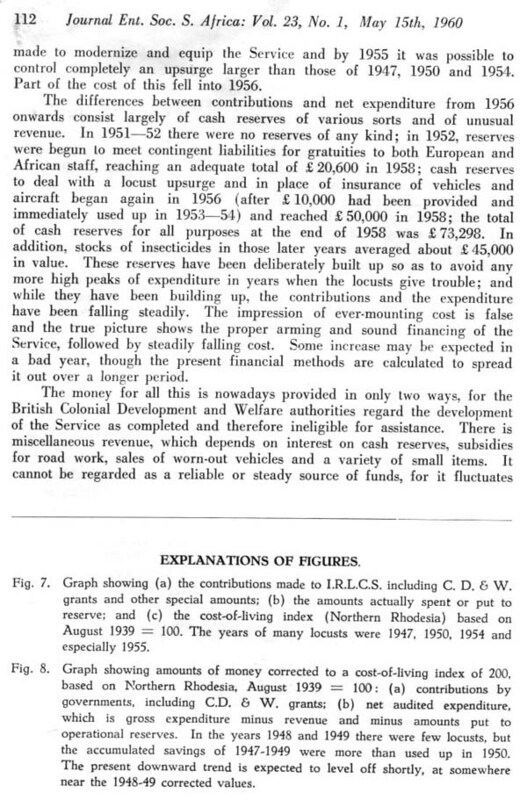 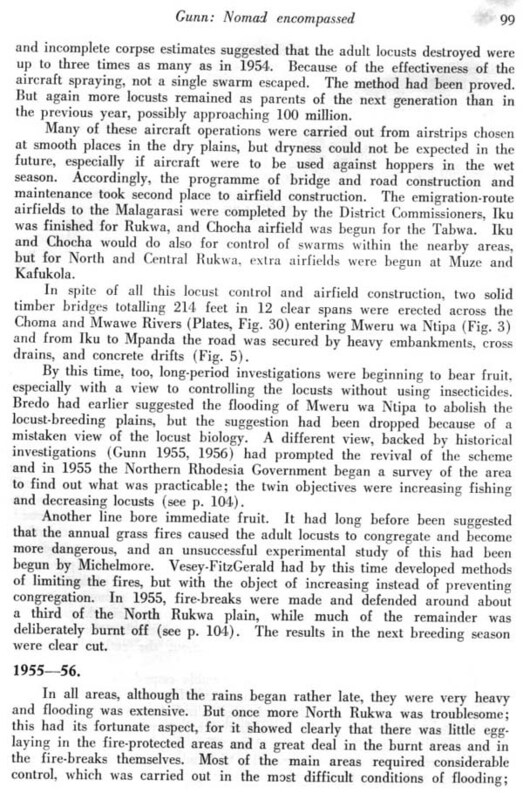 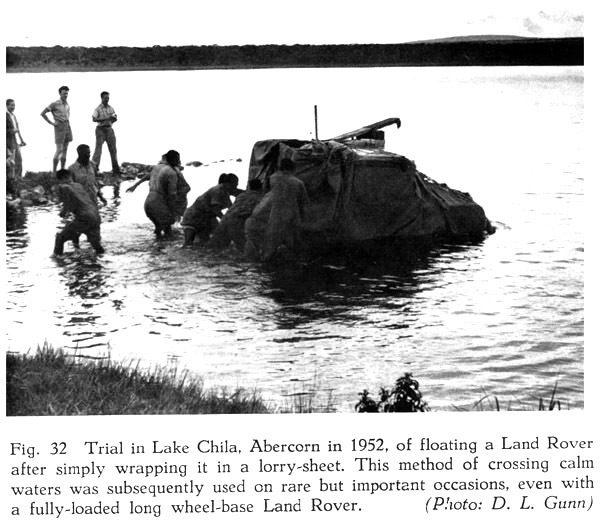 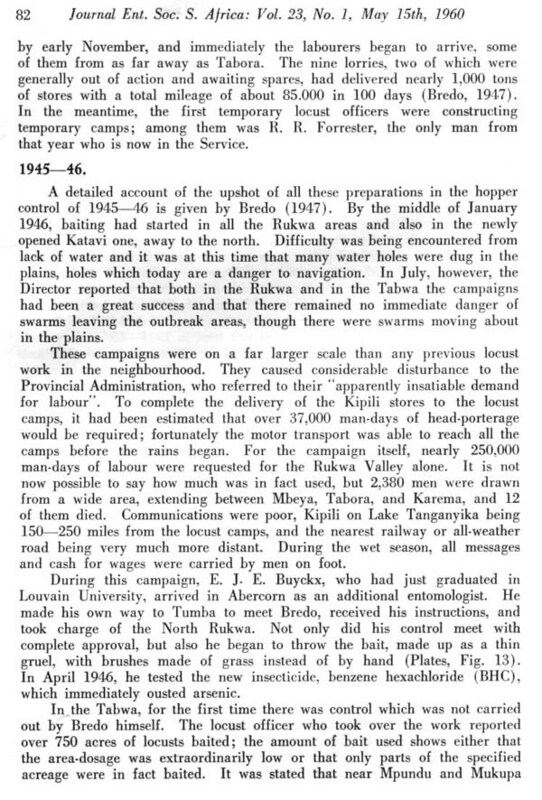 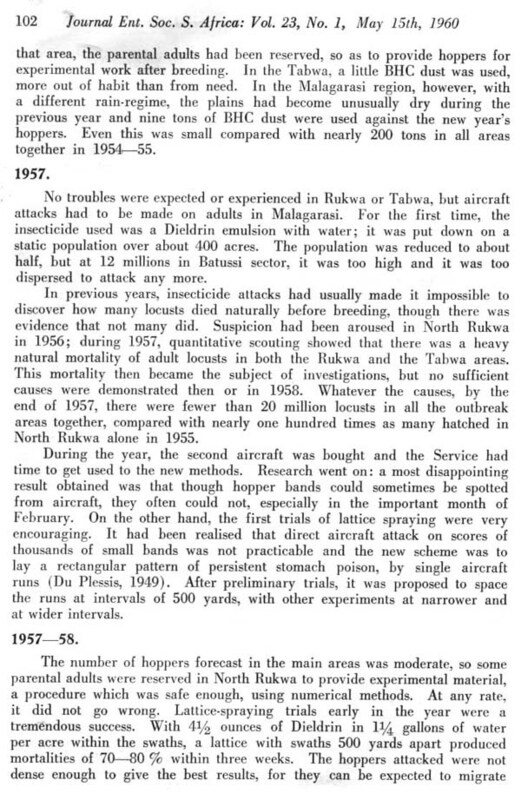 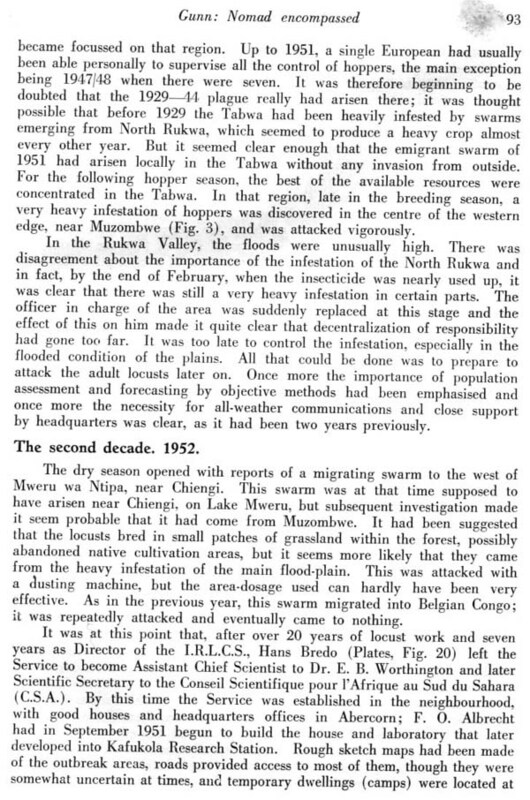 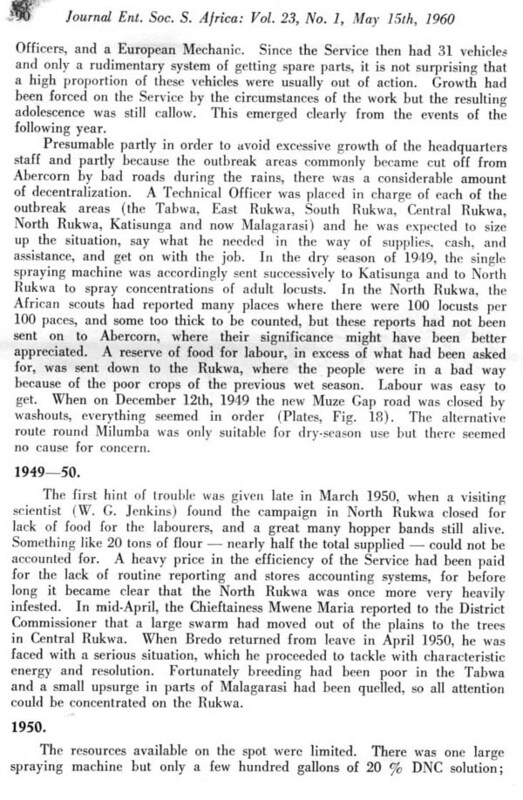 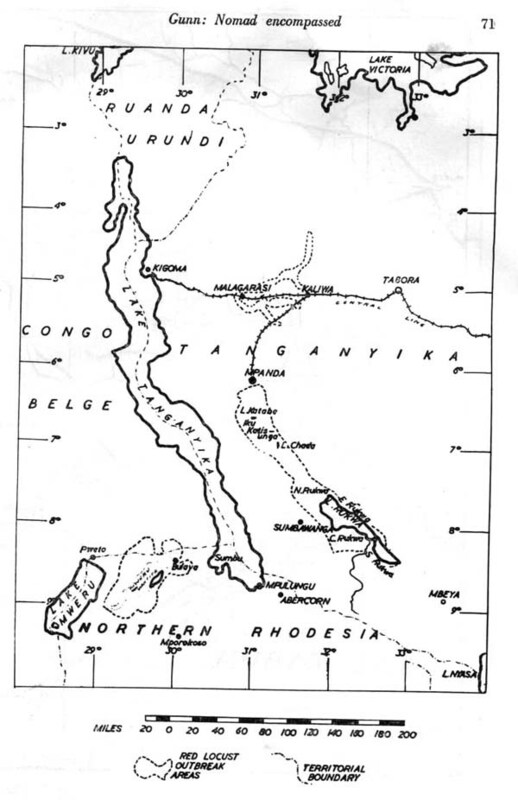 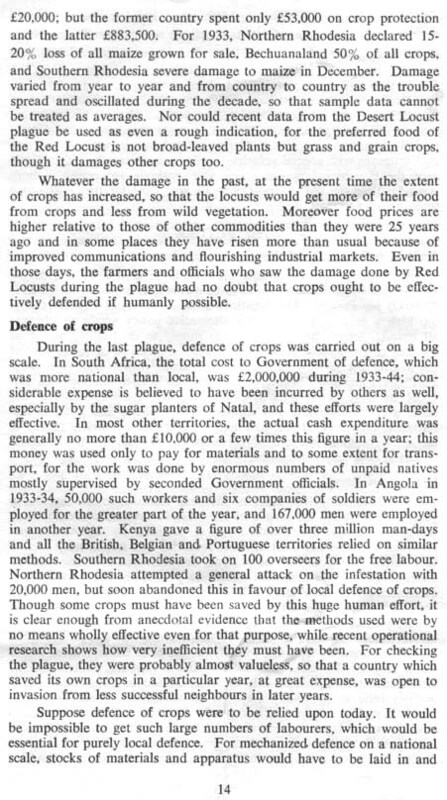 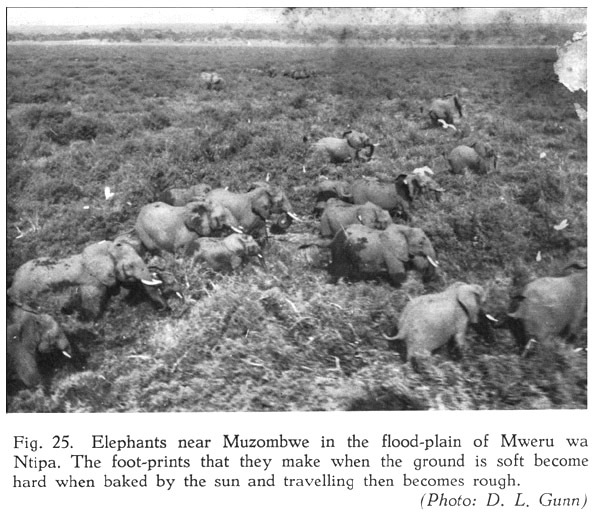 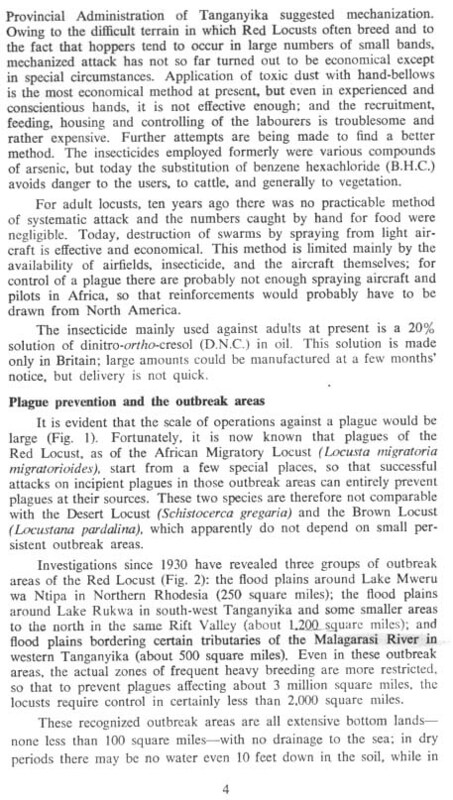 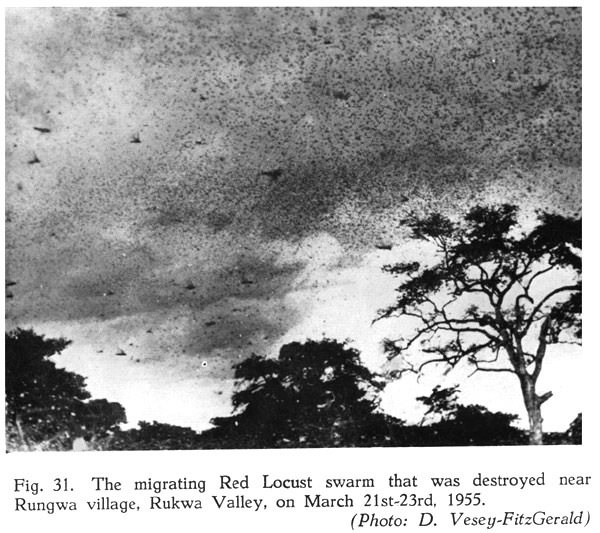 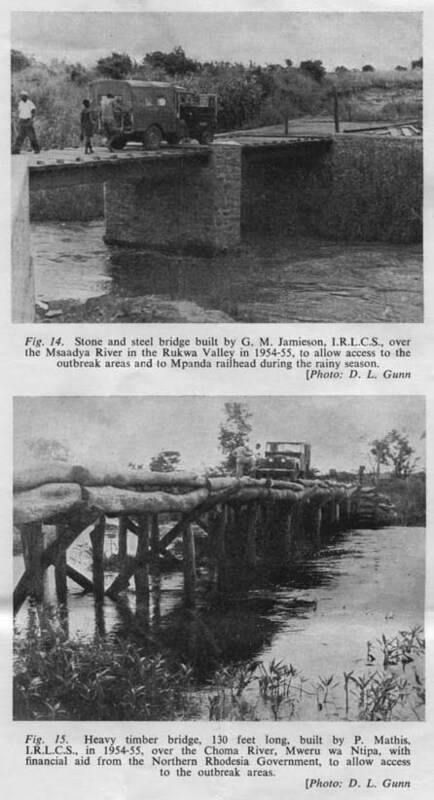 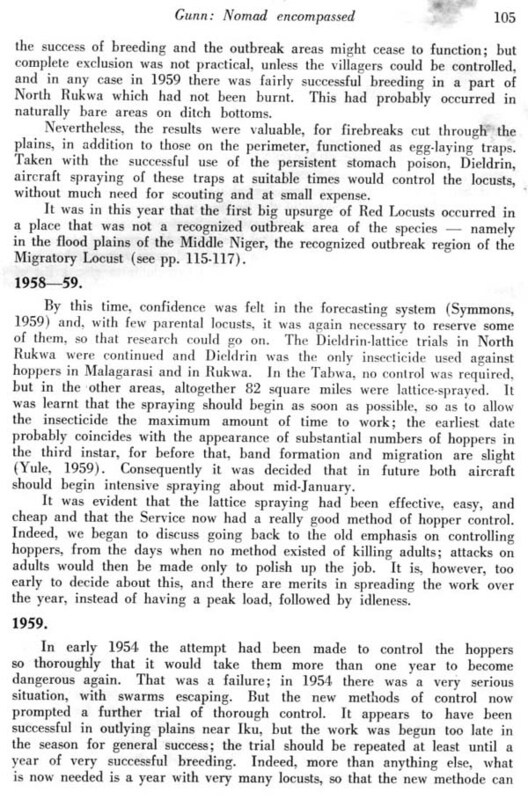 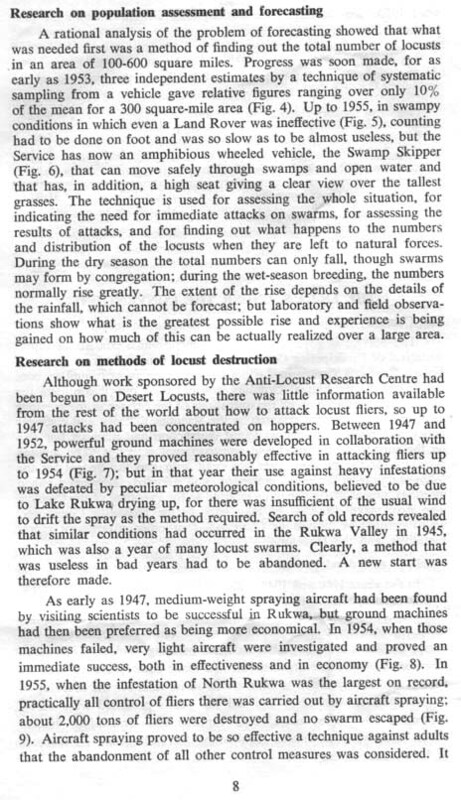 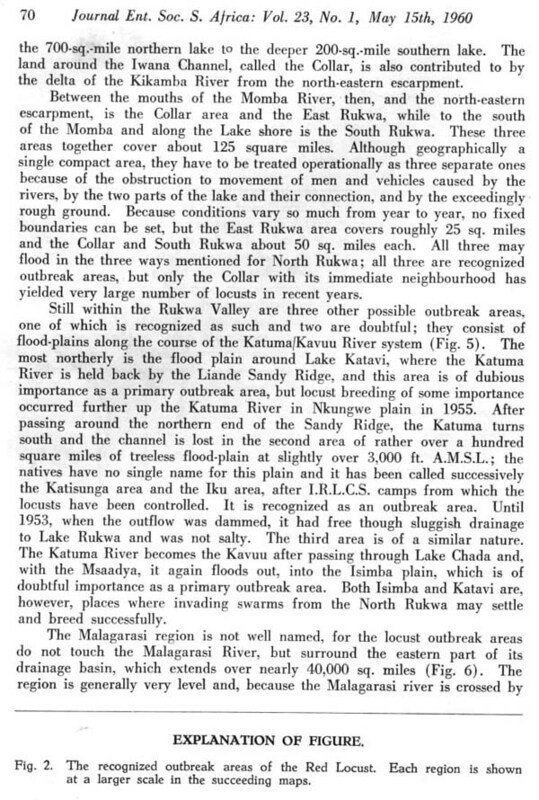 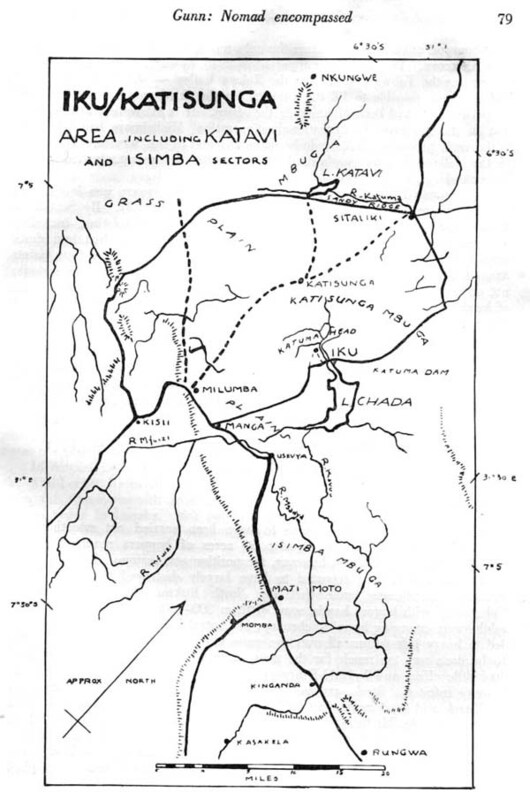 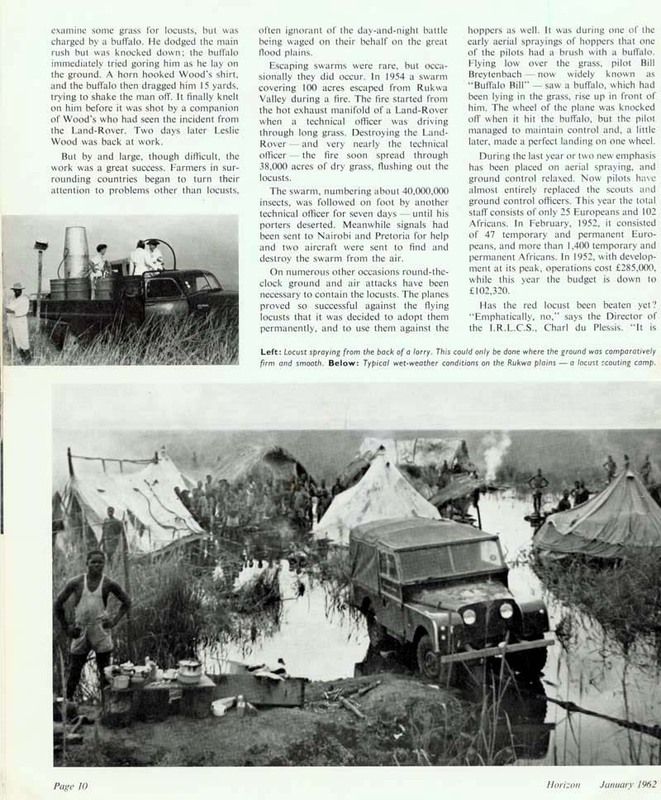 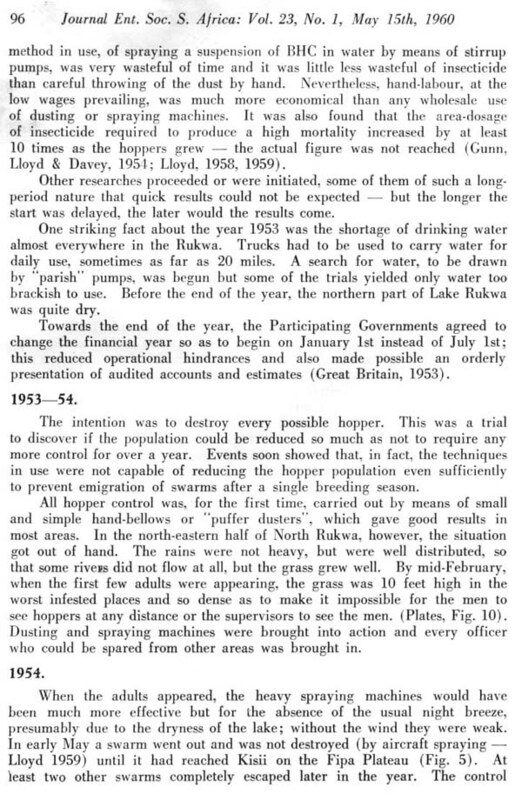 Reprinted from "Rhodesia Agricultural Journal", Vol.54. 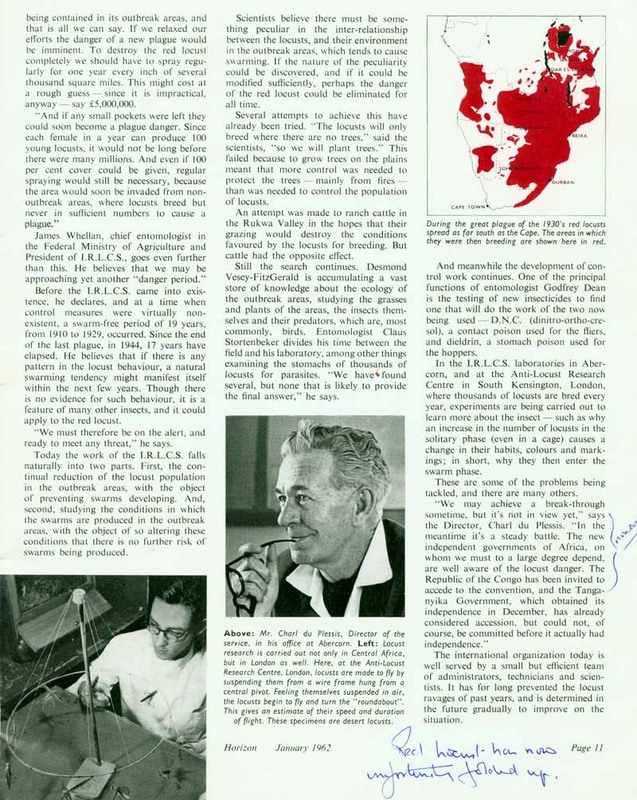 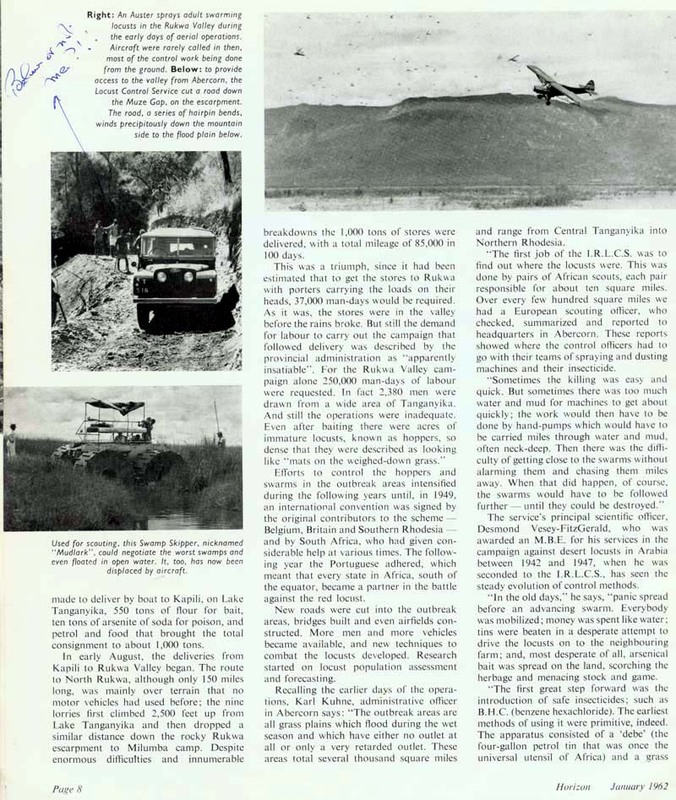 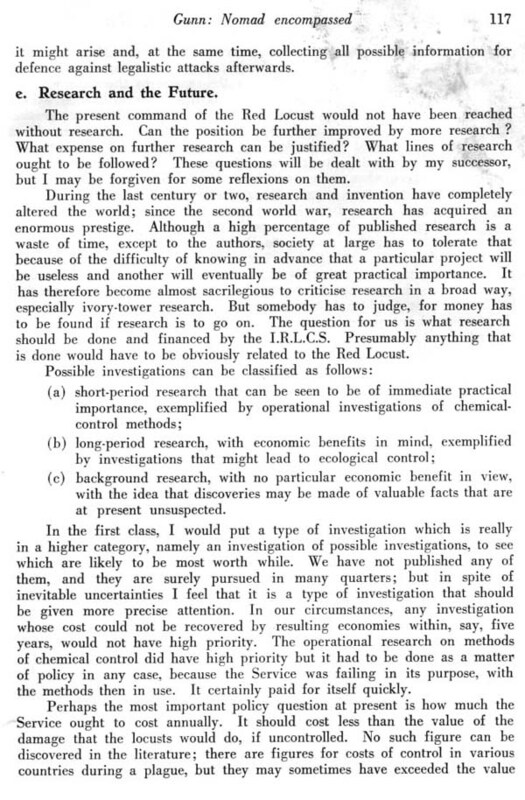 No.1, Jan-Feb 1957, Pages 8-24. 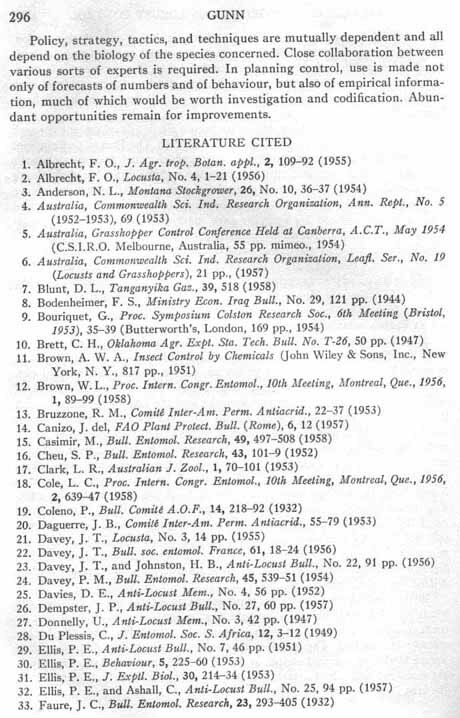 Author D.L. 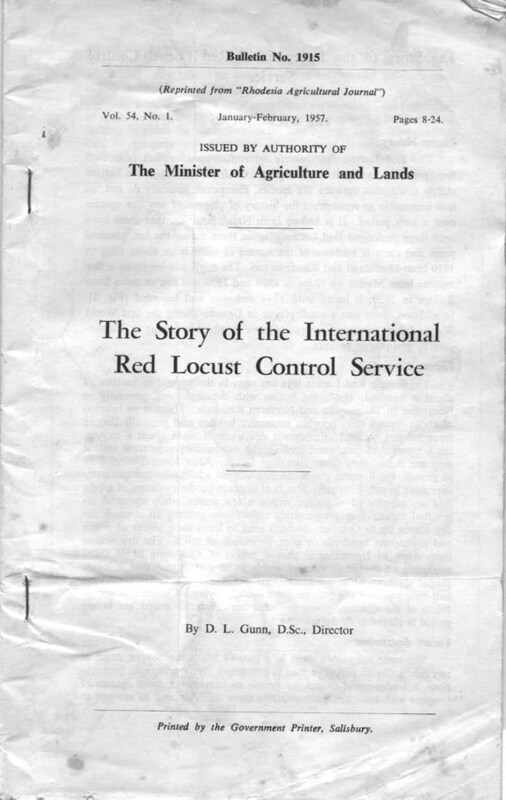 Gunn, DSc., Director. 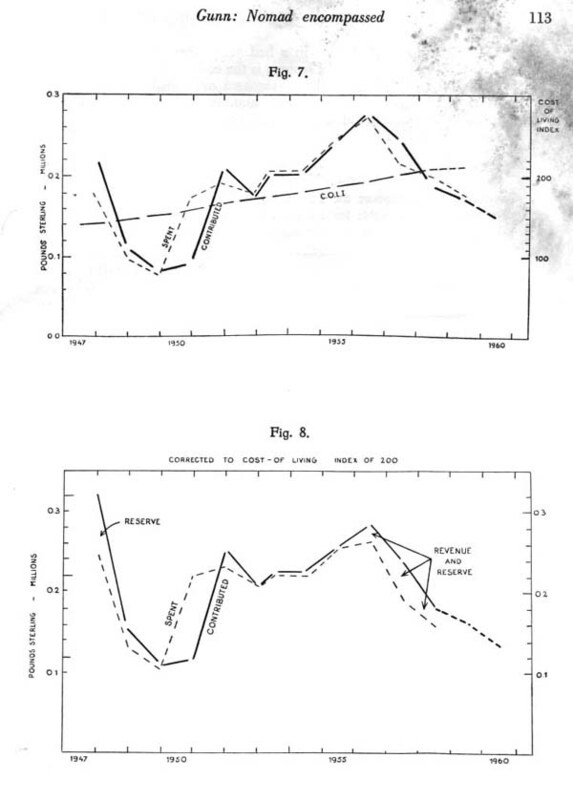 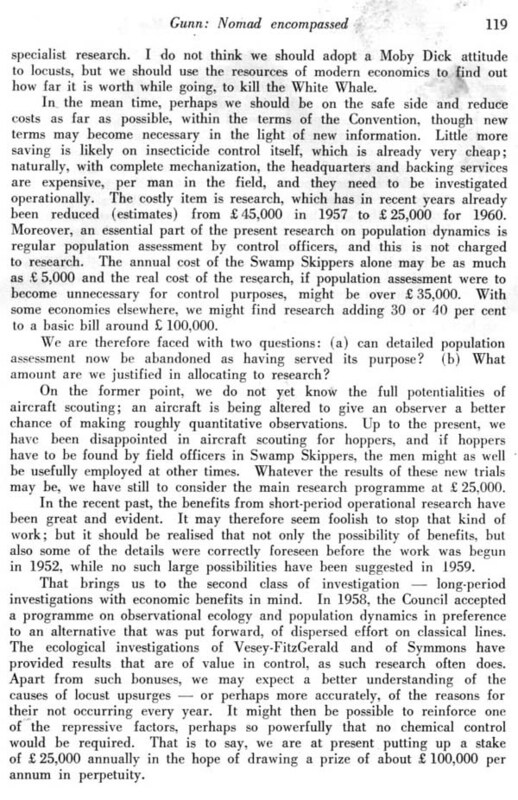 Reprinted from Nature, Vol 184 pp1425, October 3, 1959. 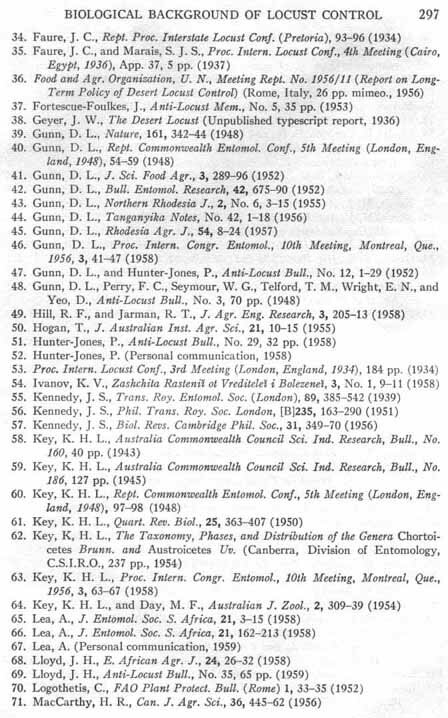 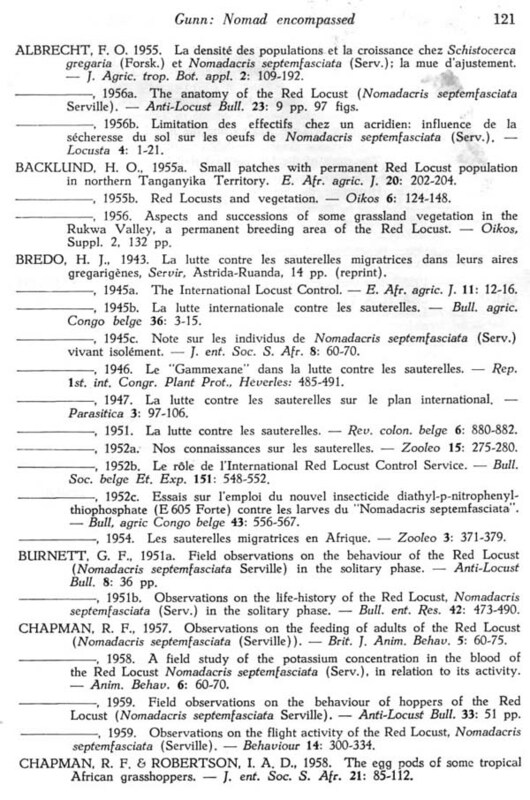 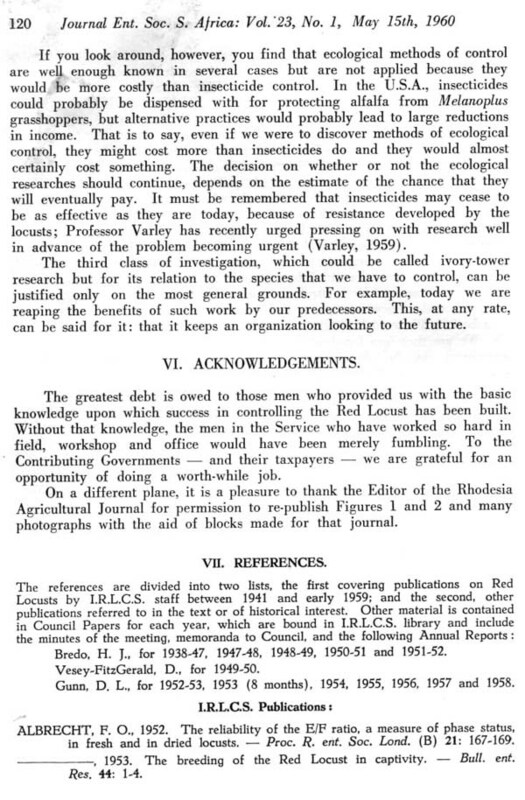 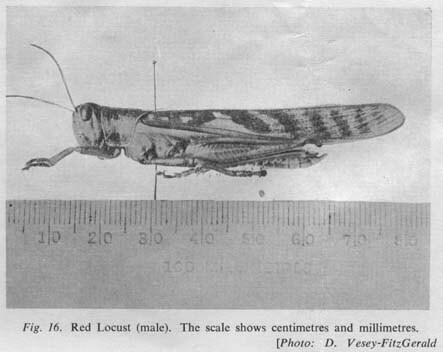 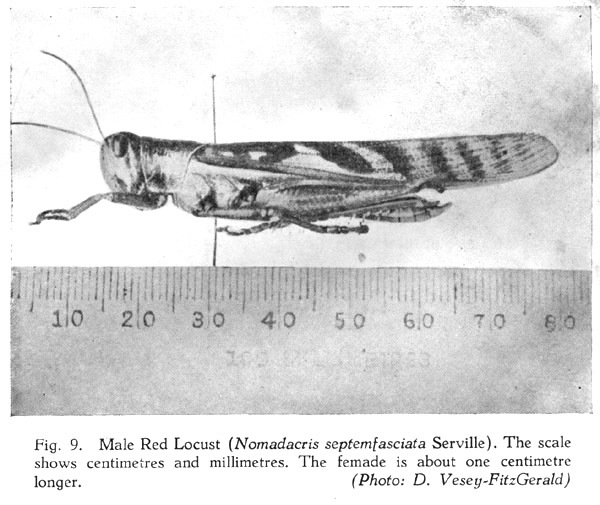 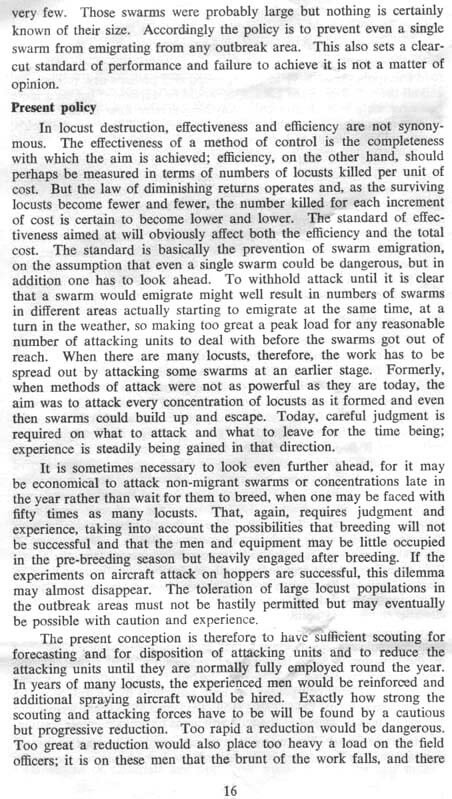 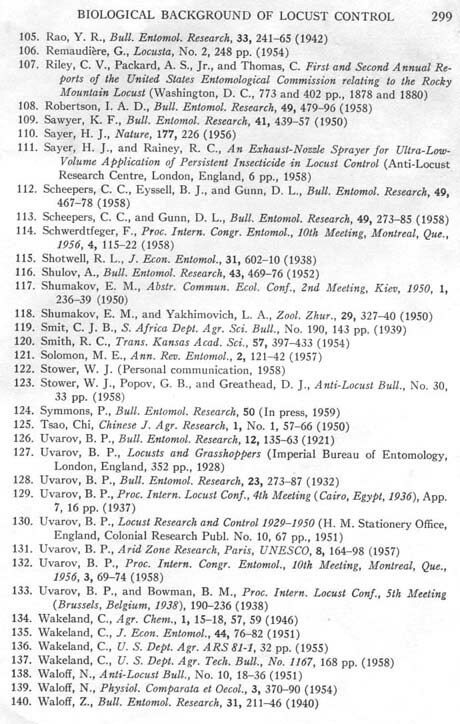 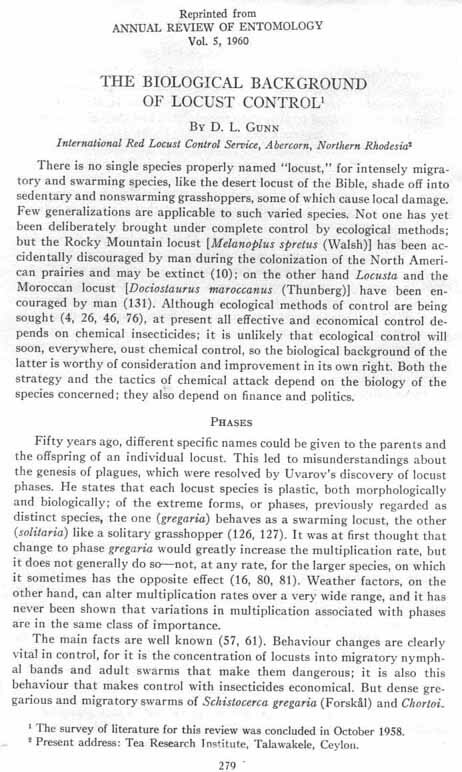 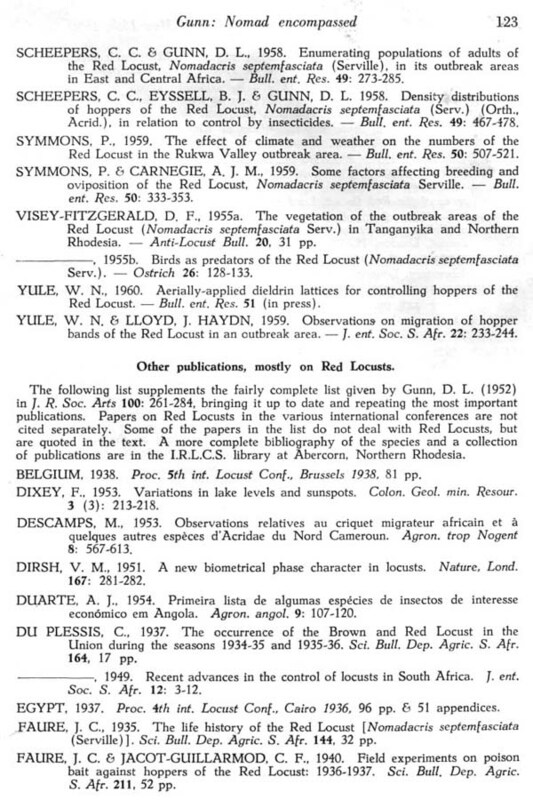 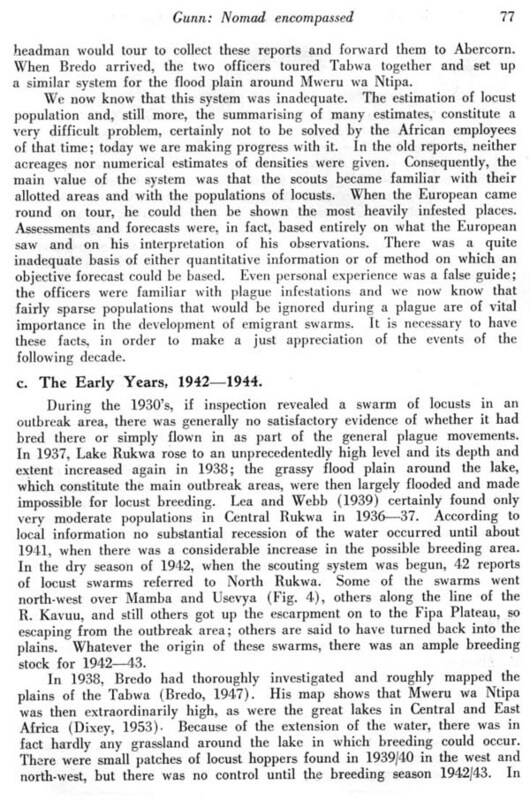 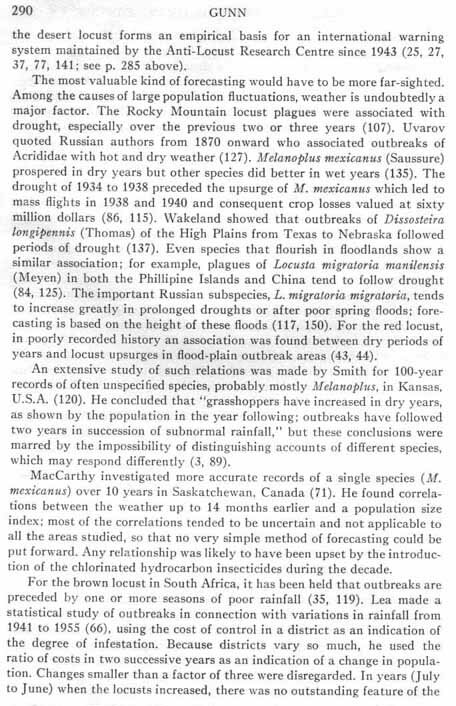 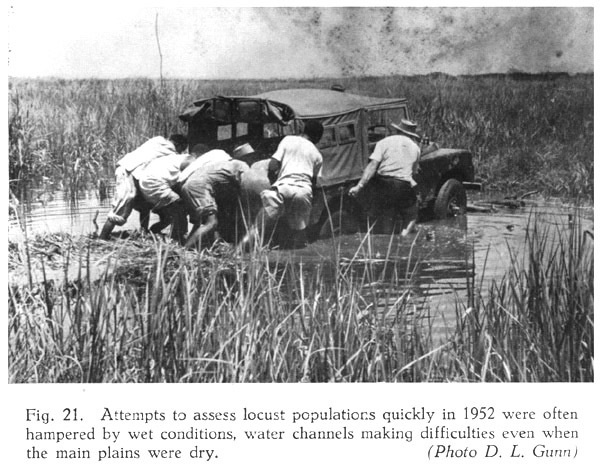 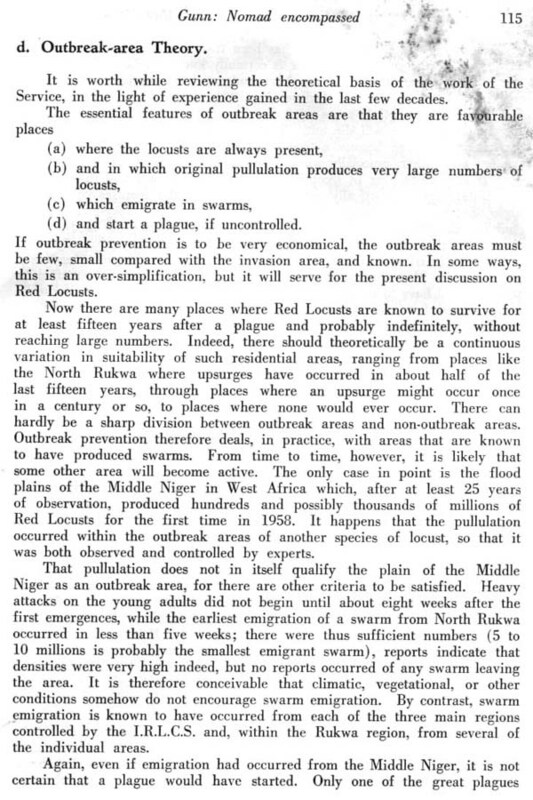 Reprinted from Annual Review of Entomology - Volume 5, 1960. 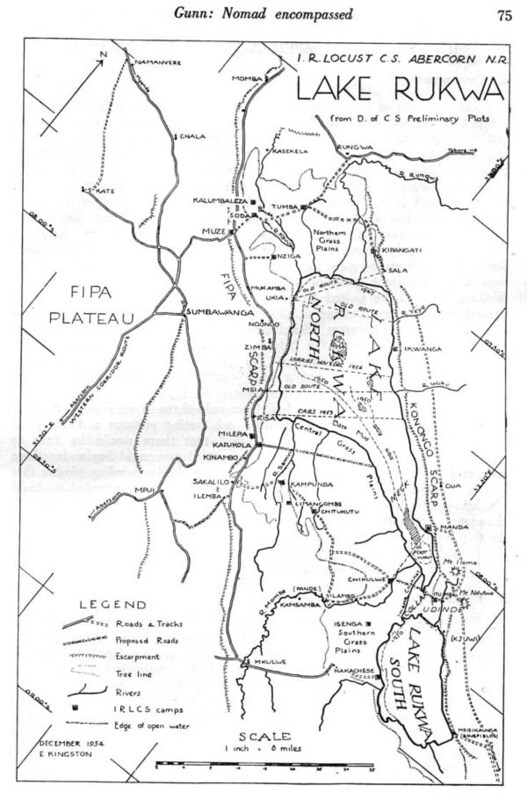 By D.L. 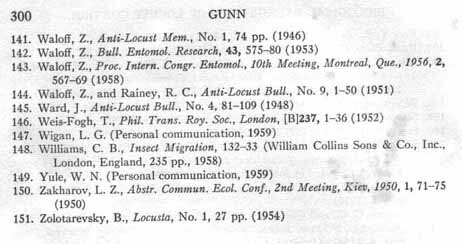 Gunn.